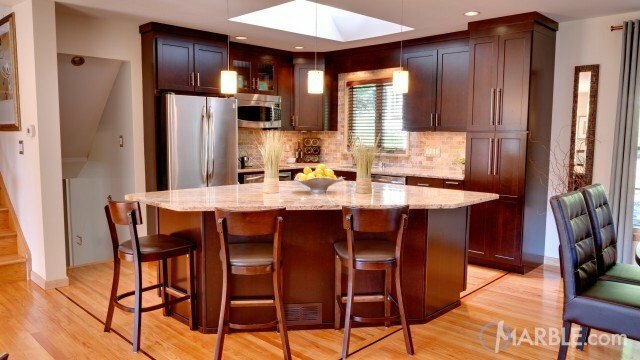 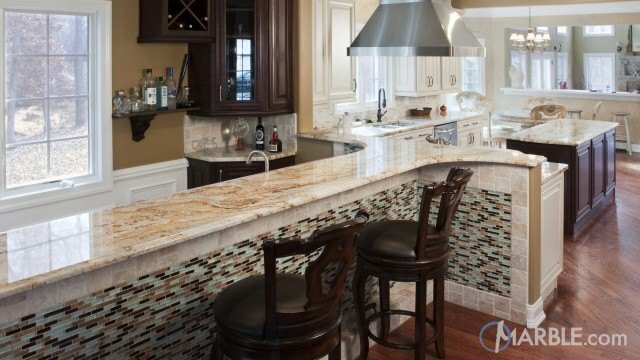 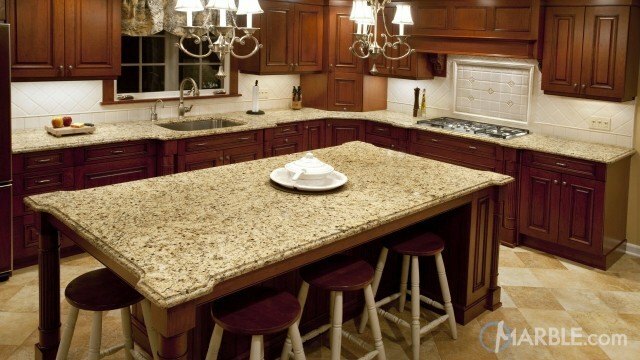 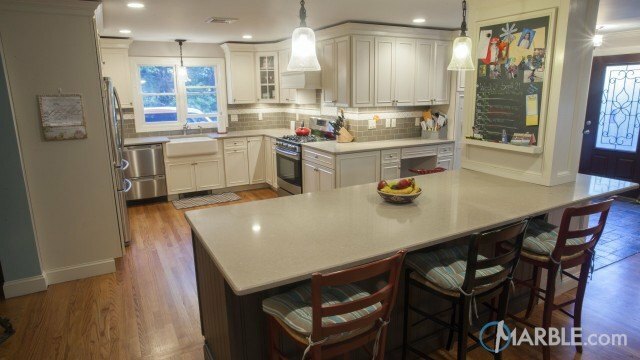 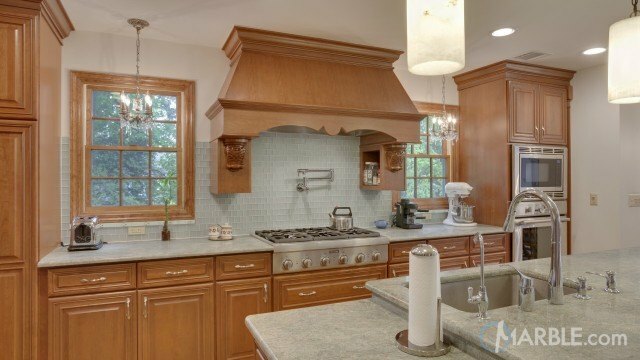 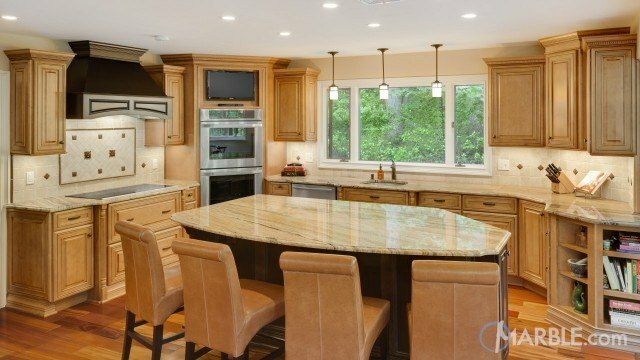 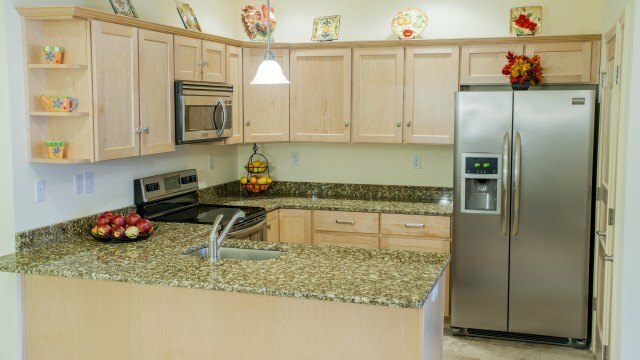 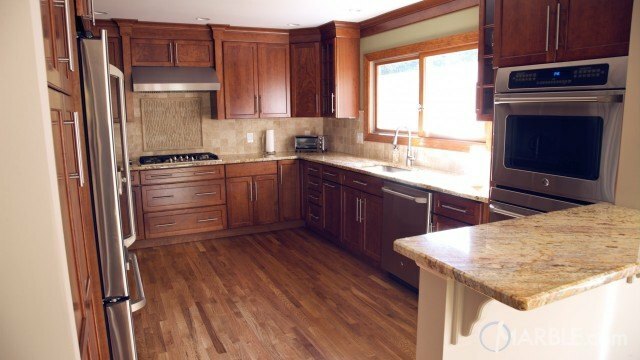 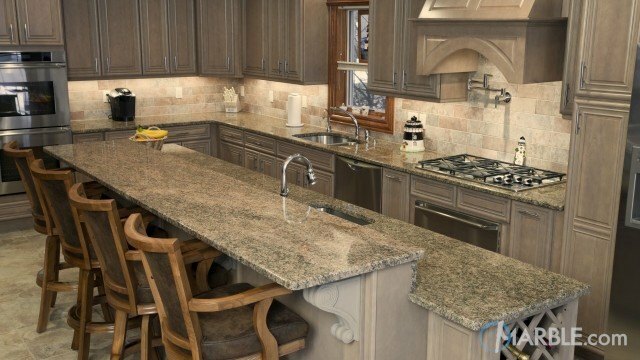 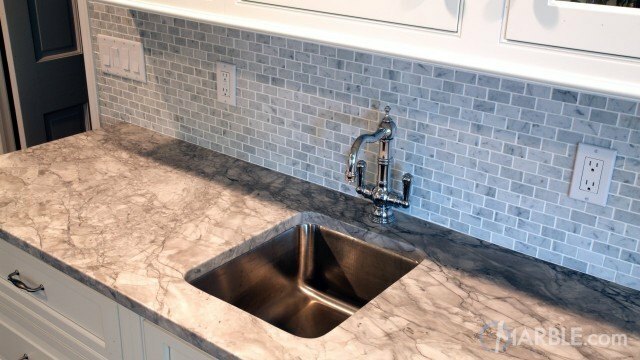 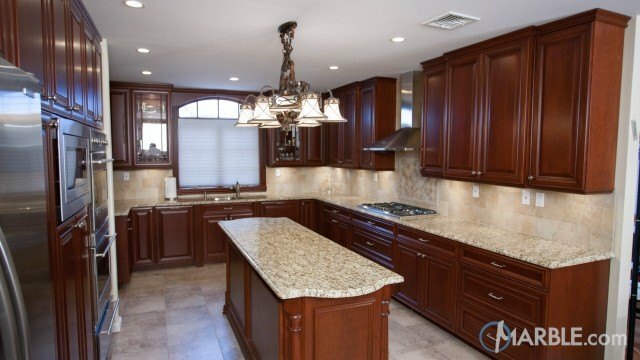 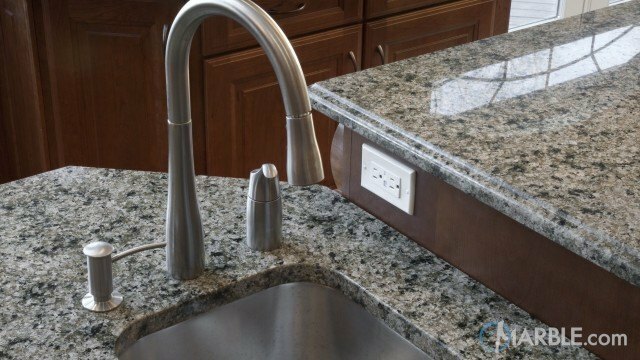 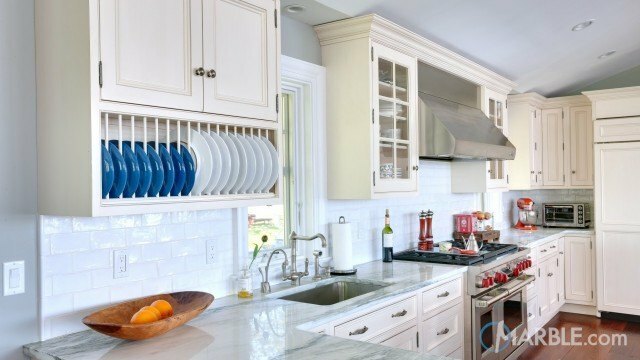 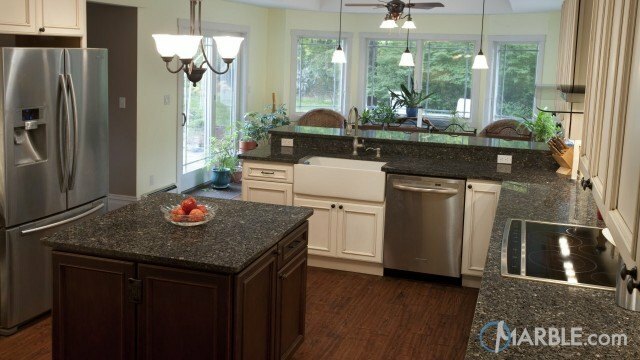 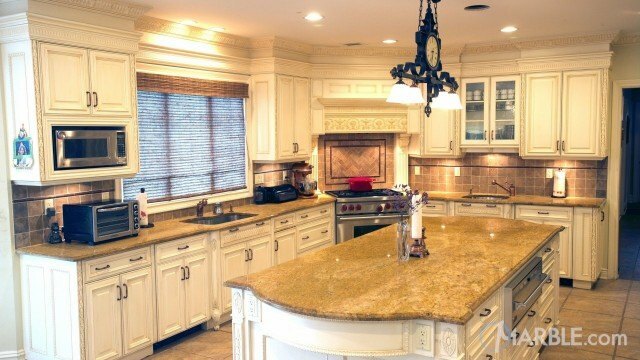 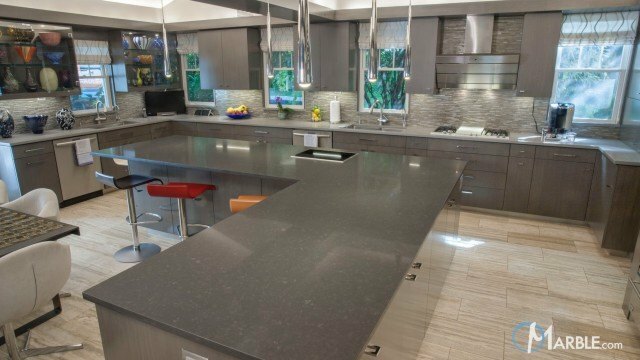 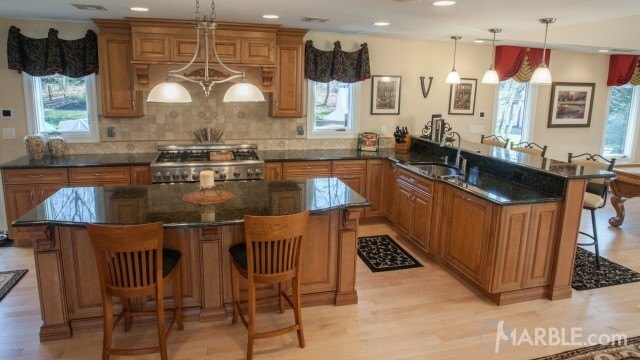 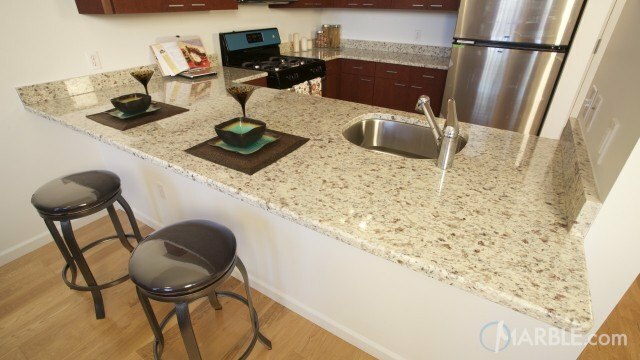 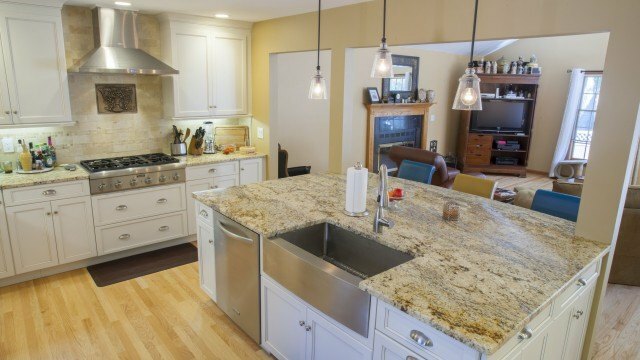 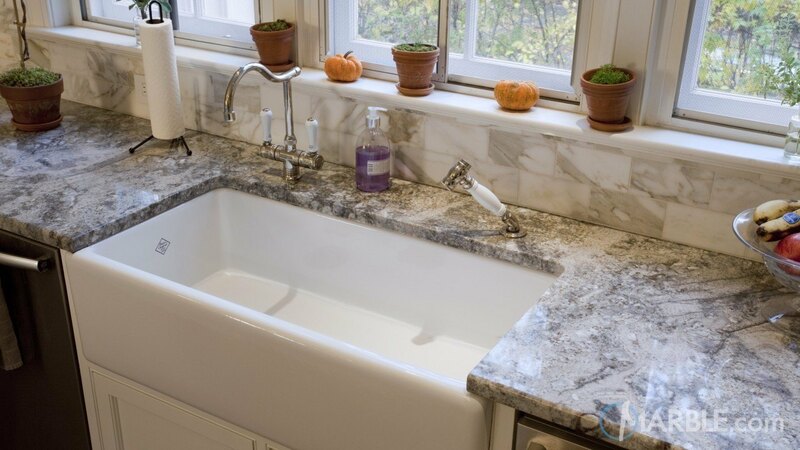 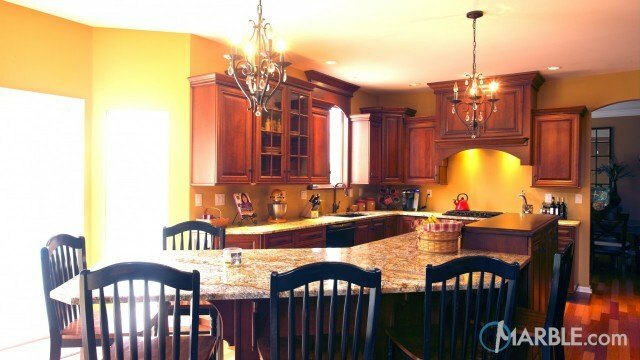 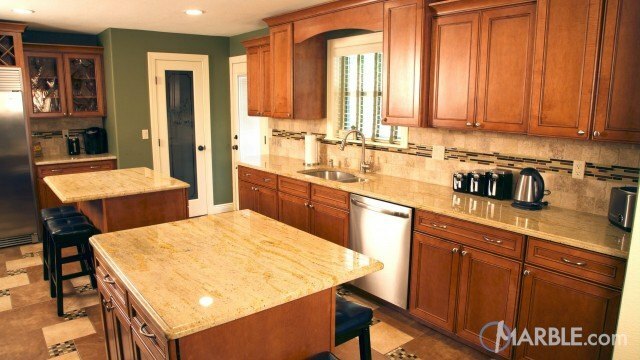 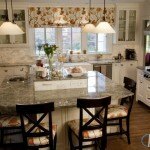 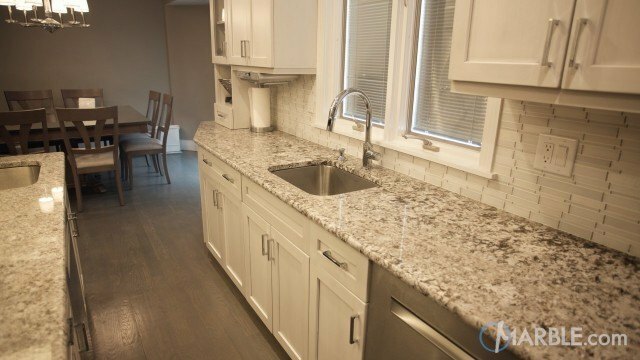 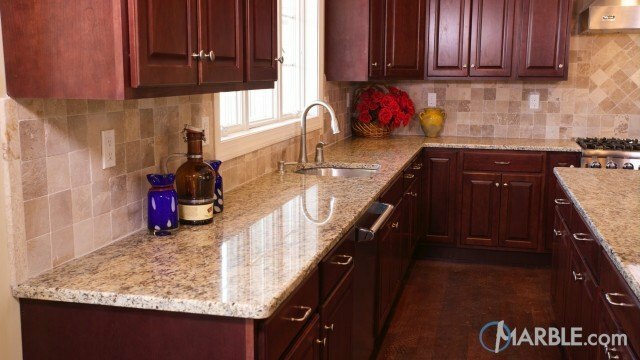 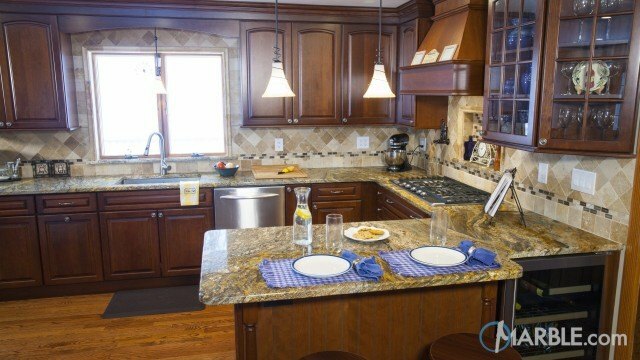 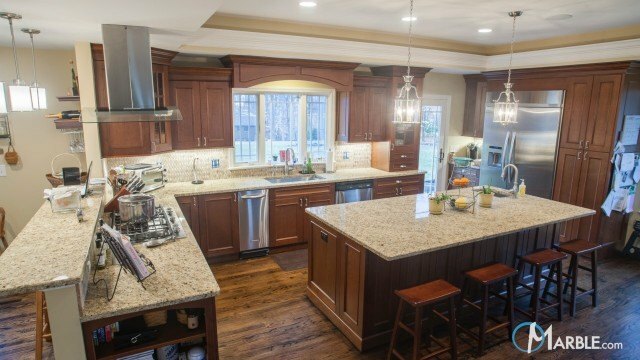 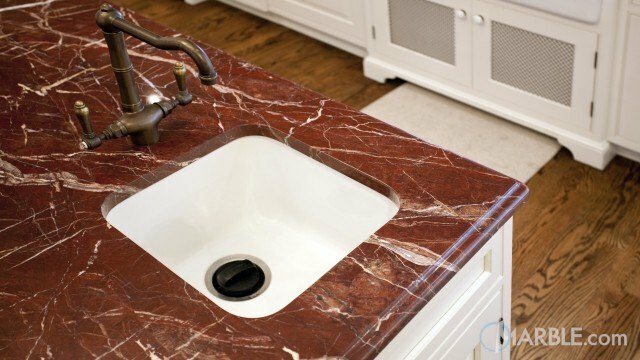 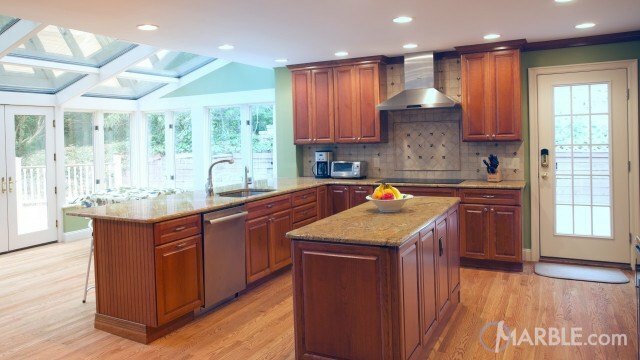 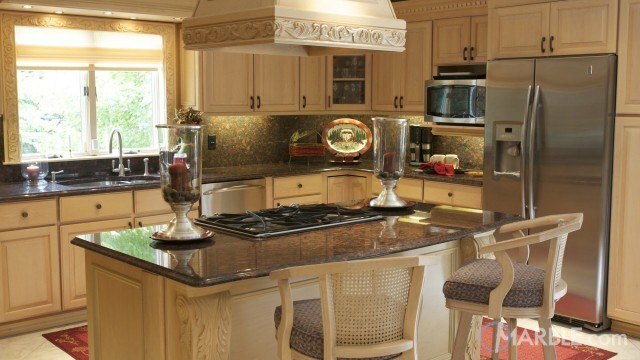 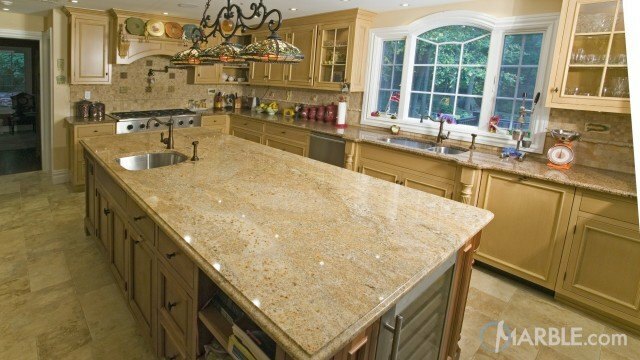 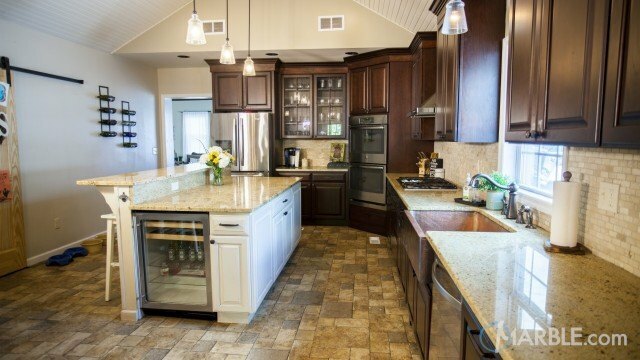 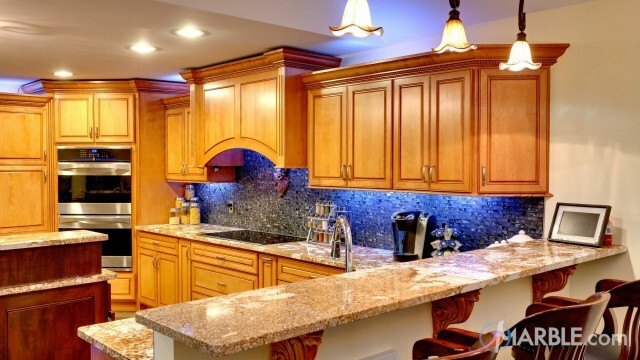 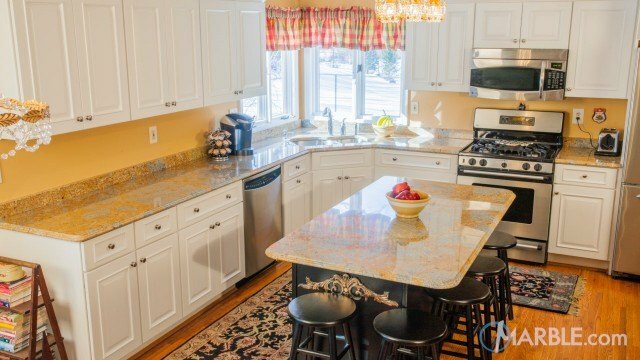 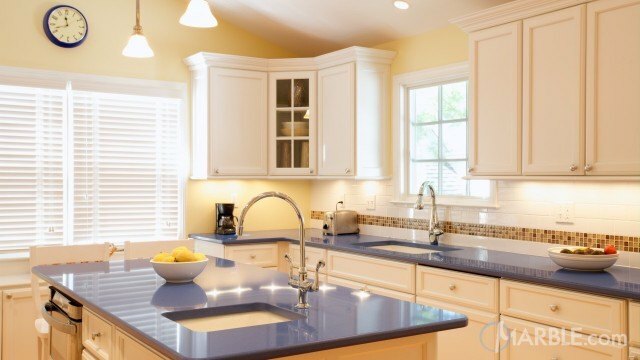 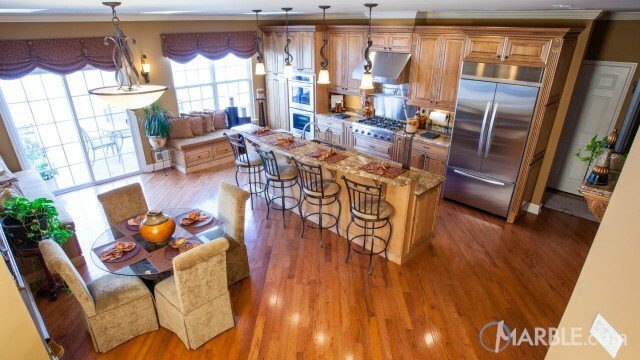 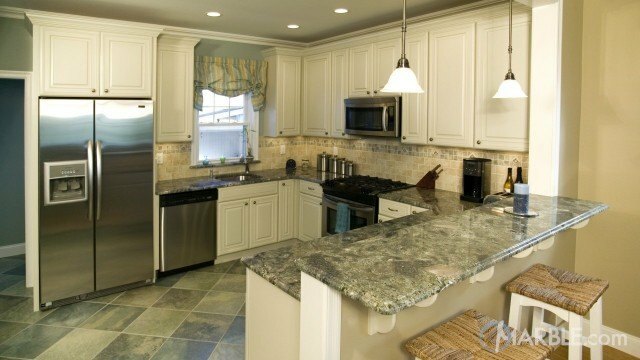 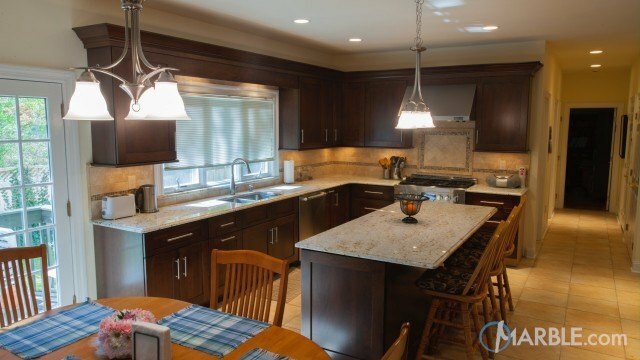 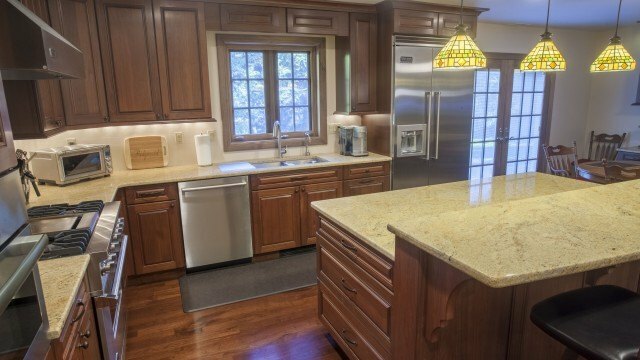 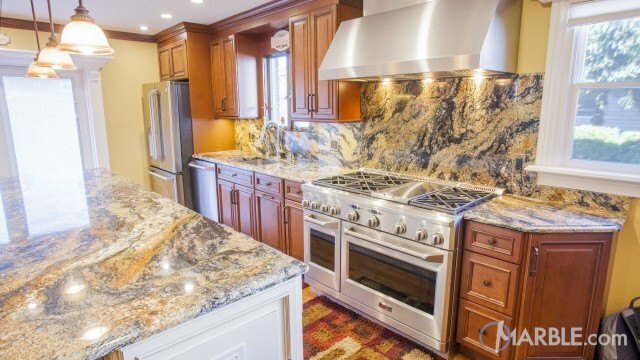 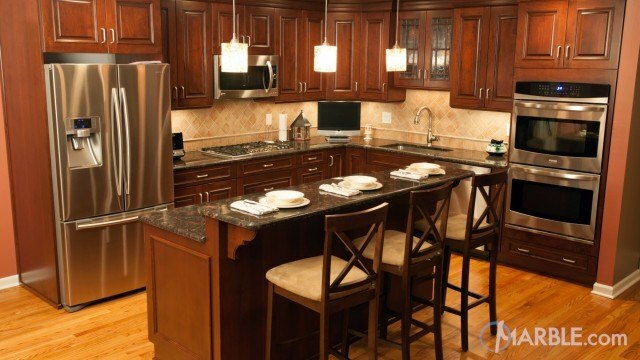 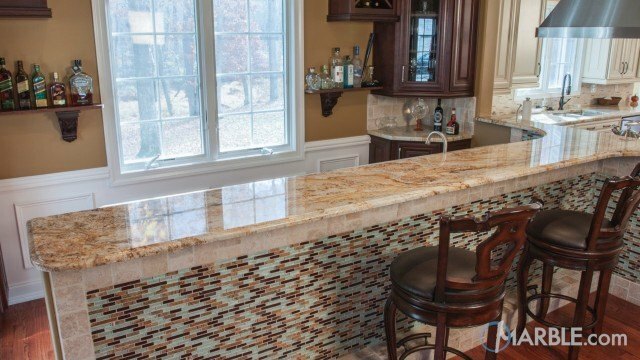 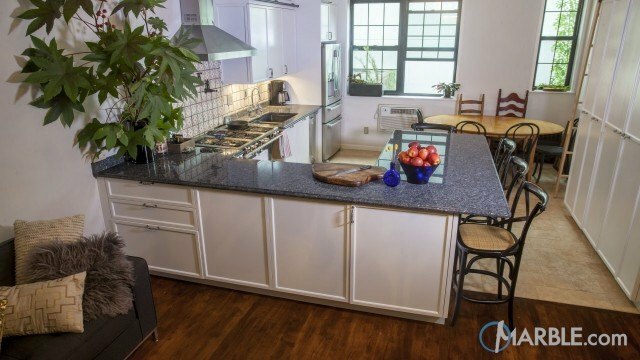 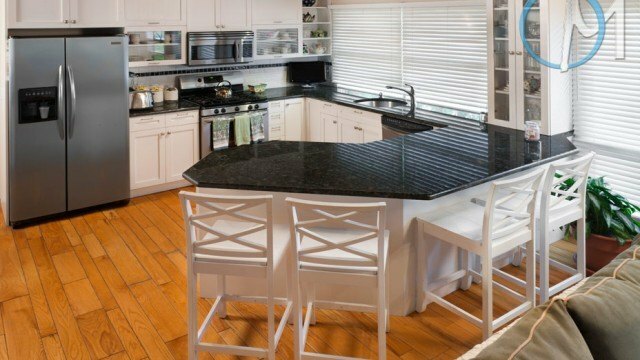 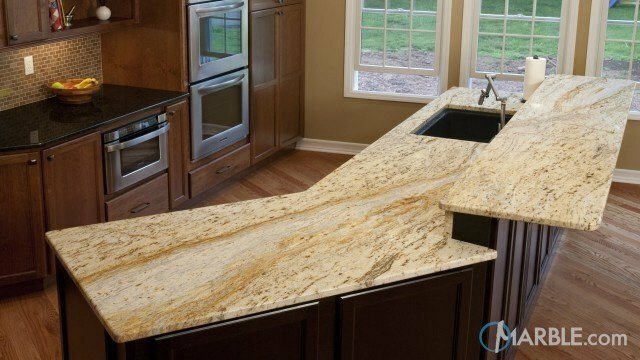 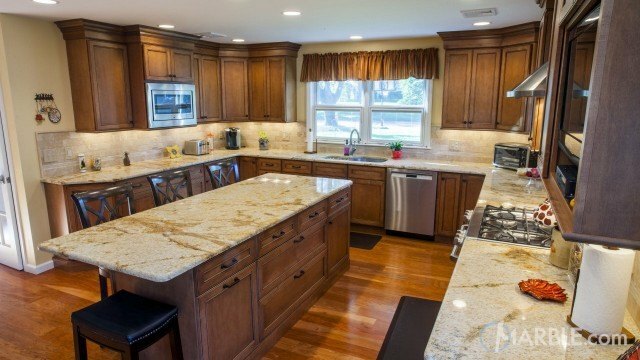 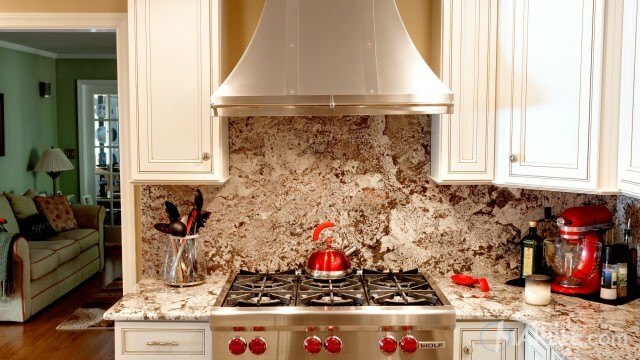 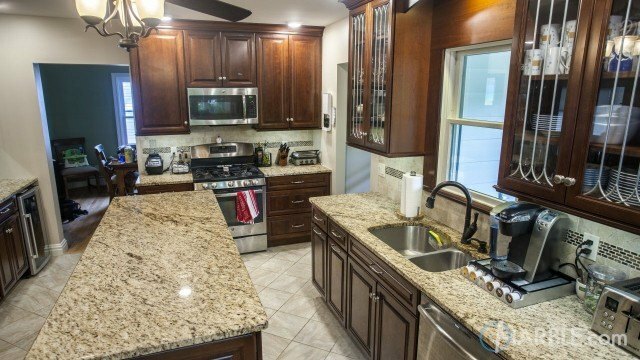 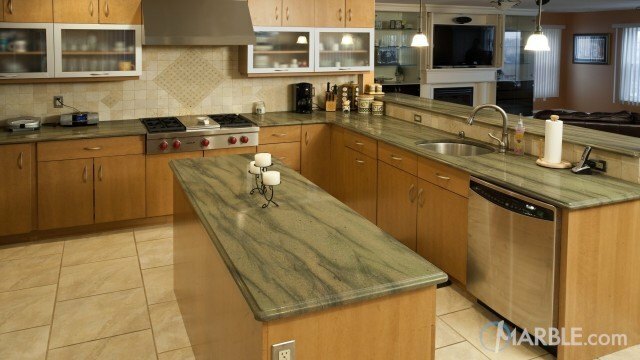 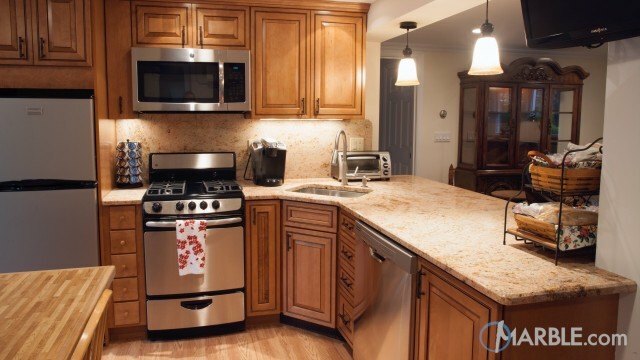 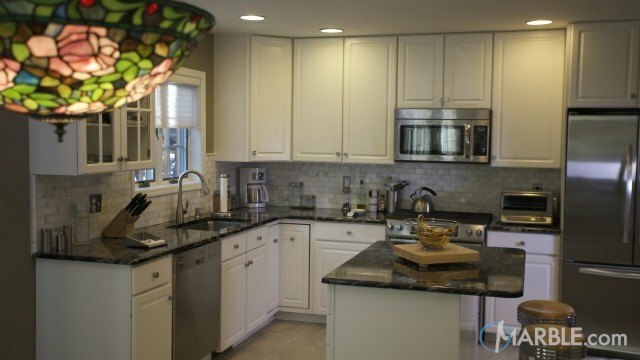 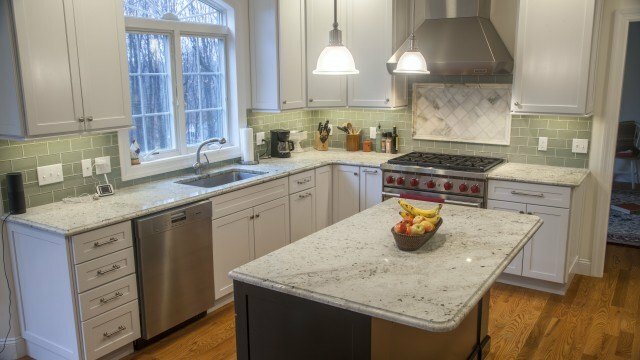 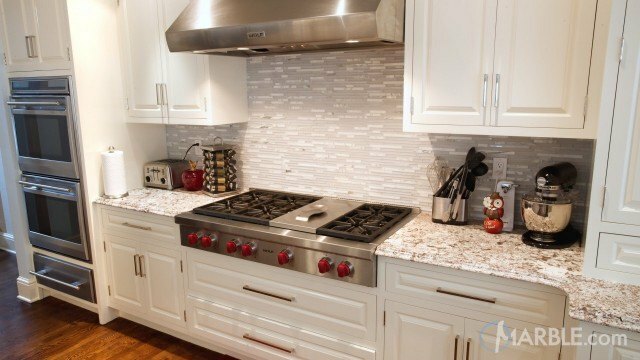 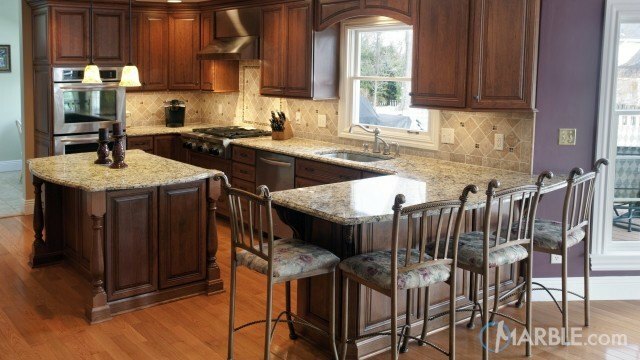 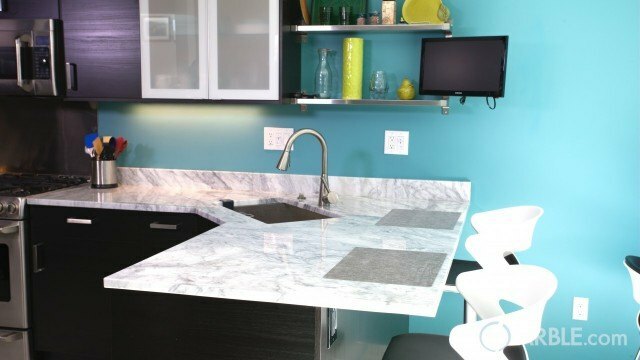 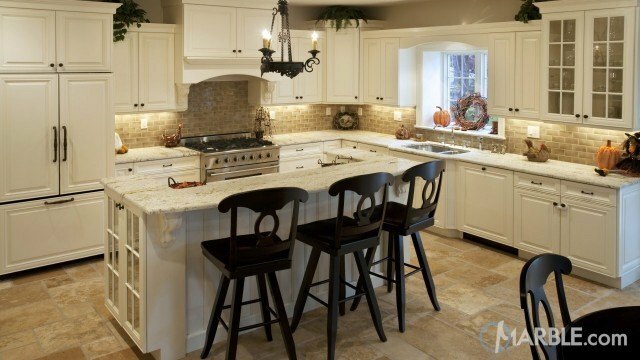 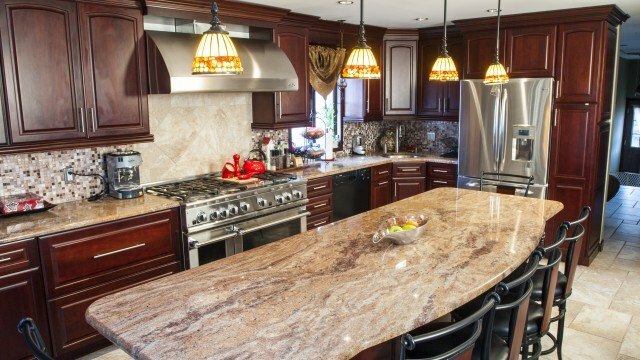 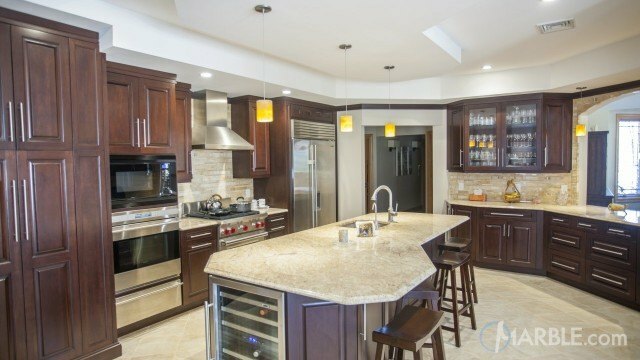 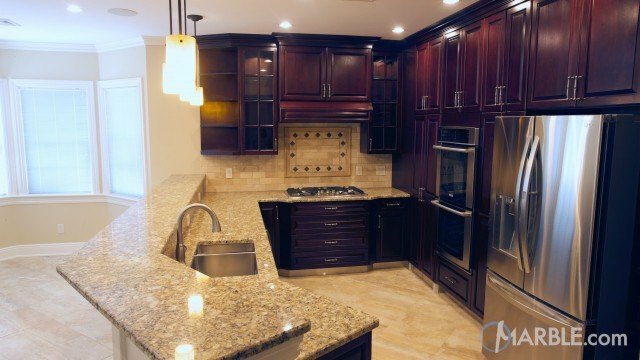 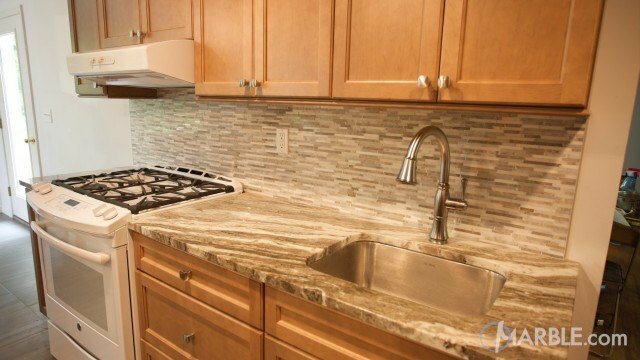 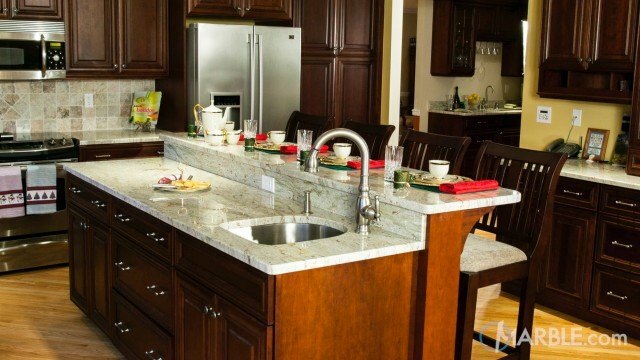 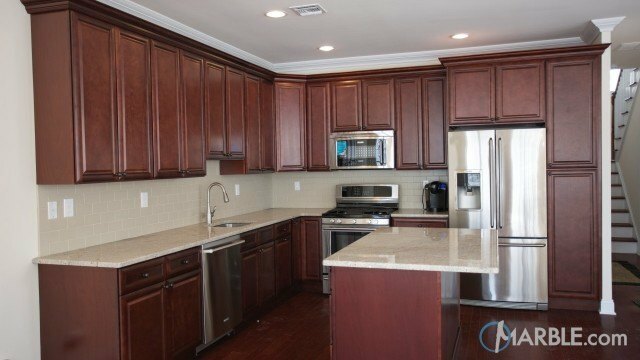 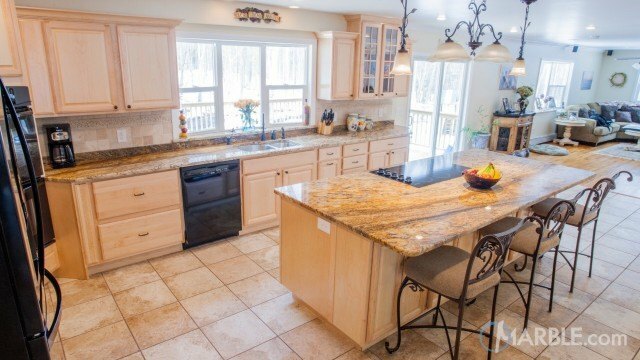 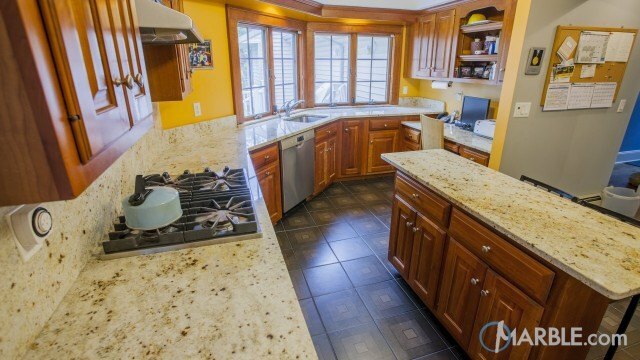 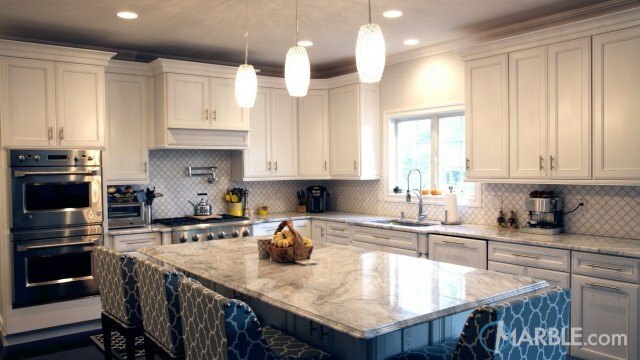 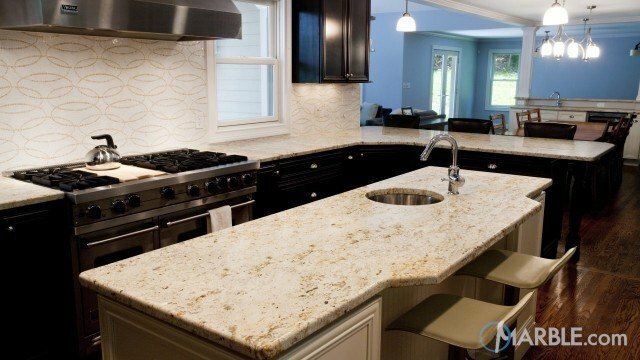 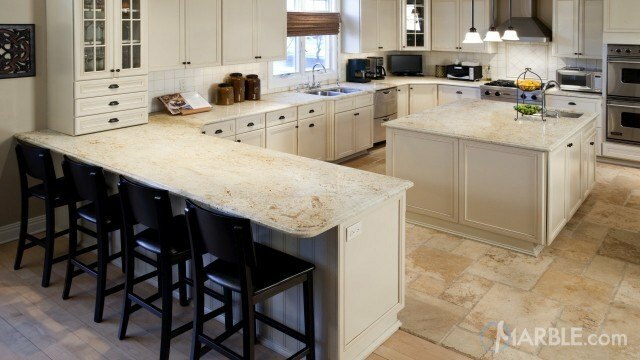 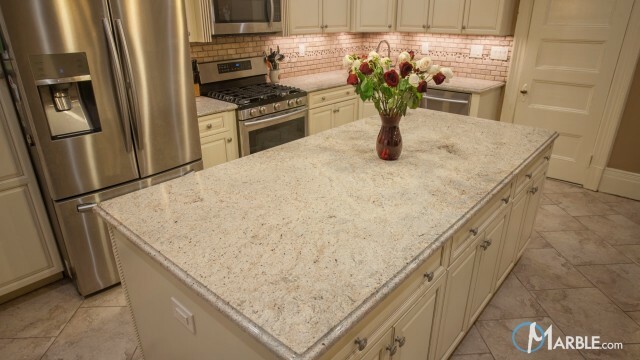 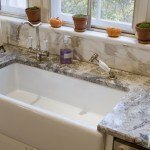 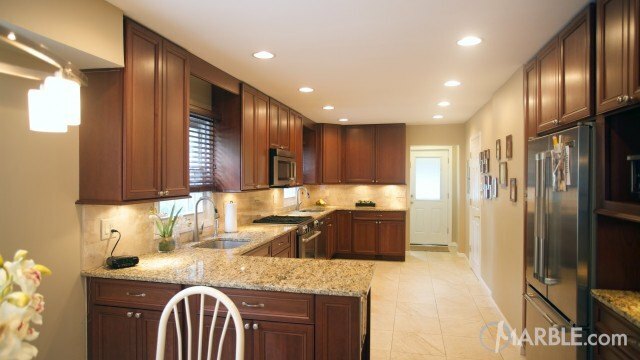 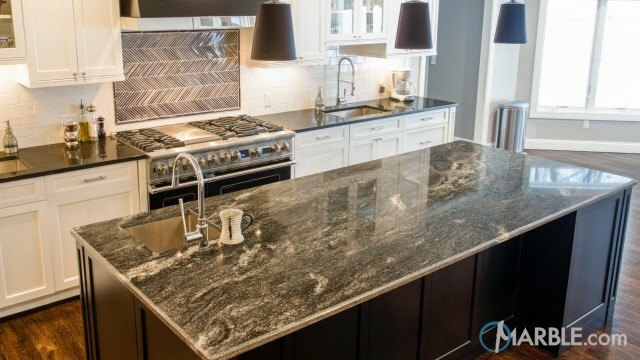 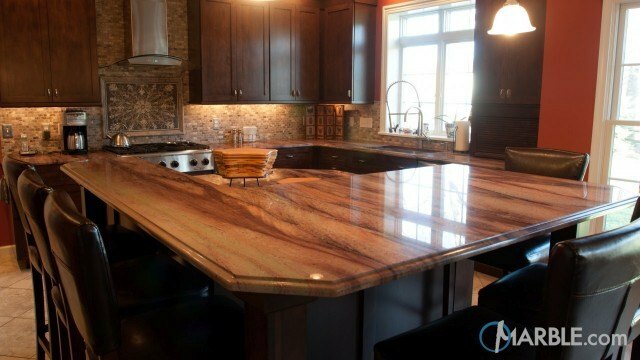 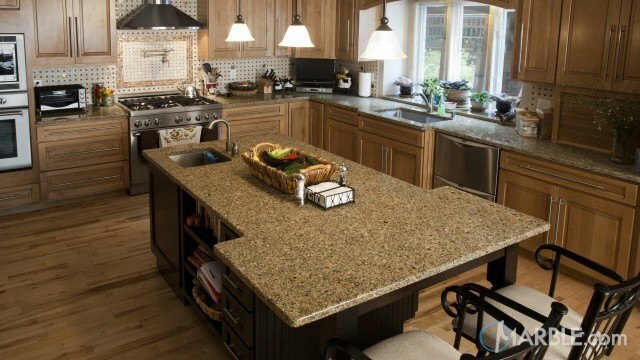 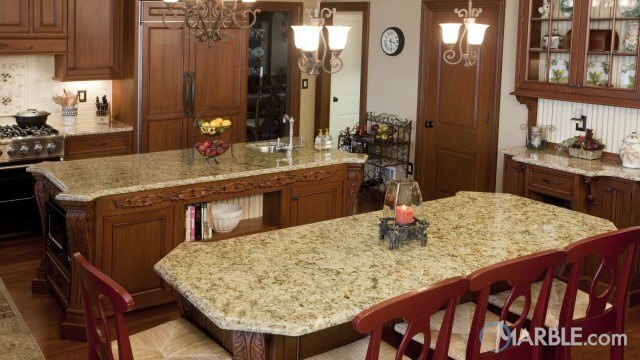 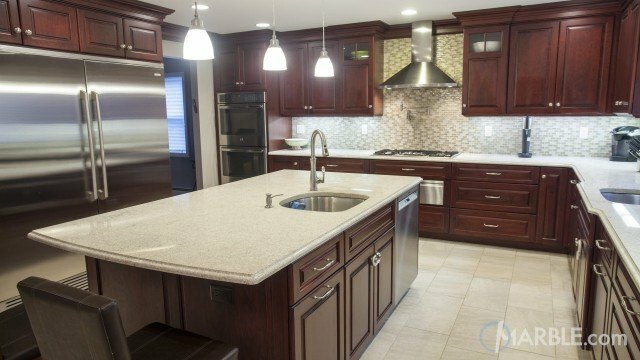 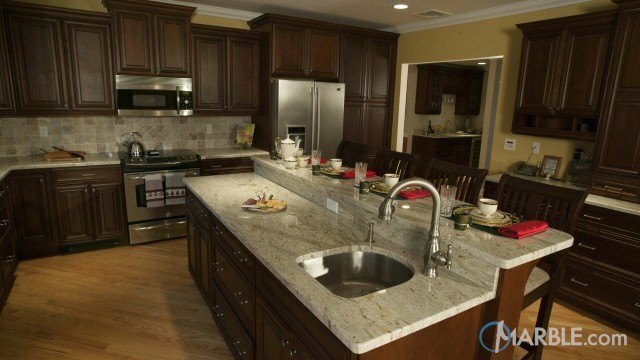 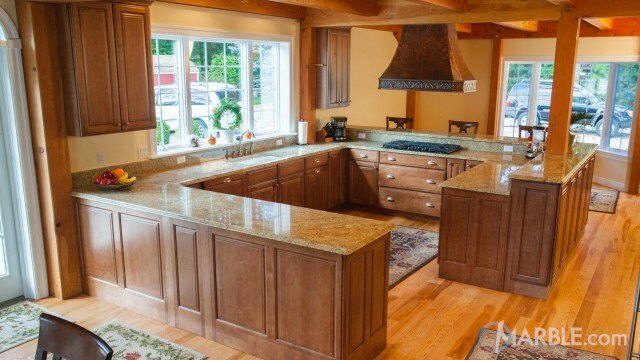 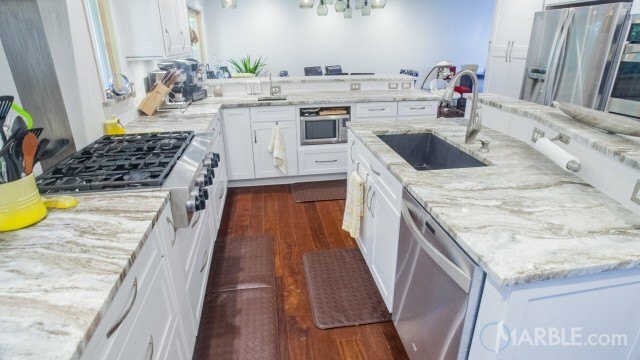 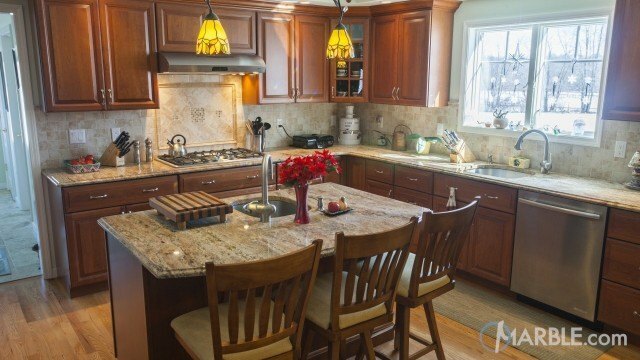 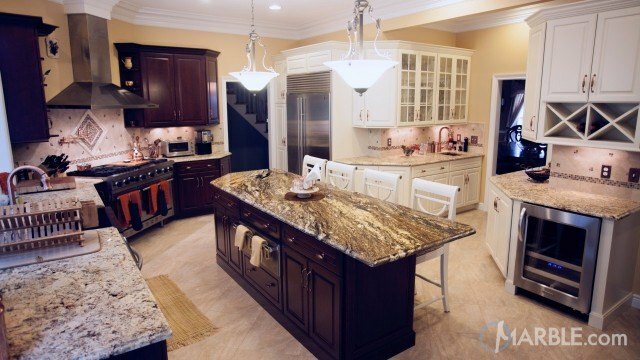 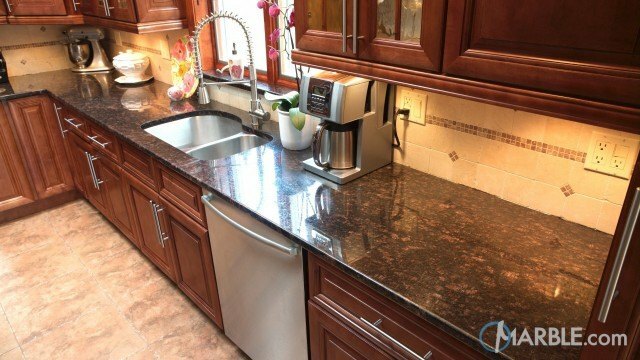 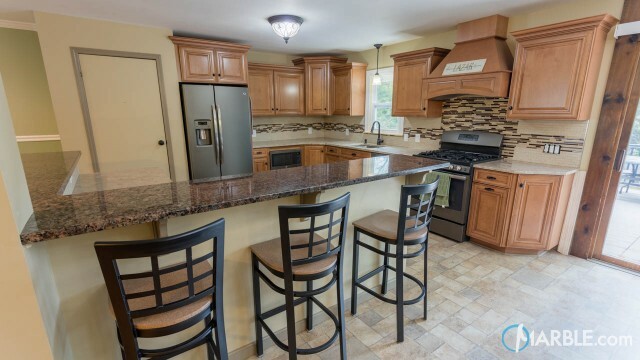 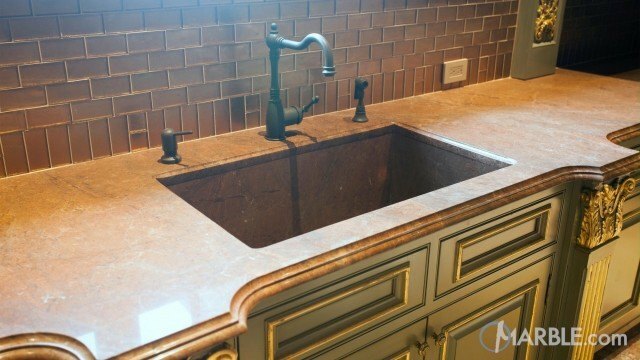 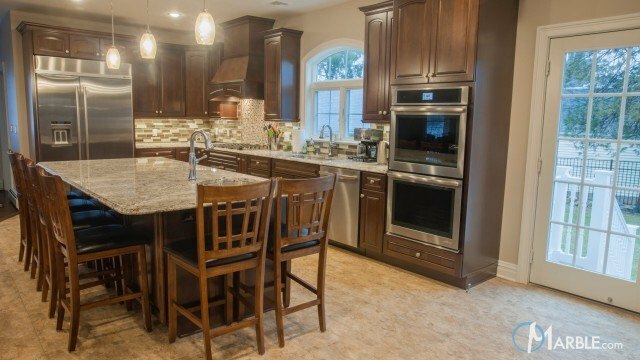 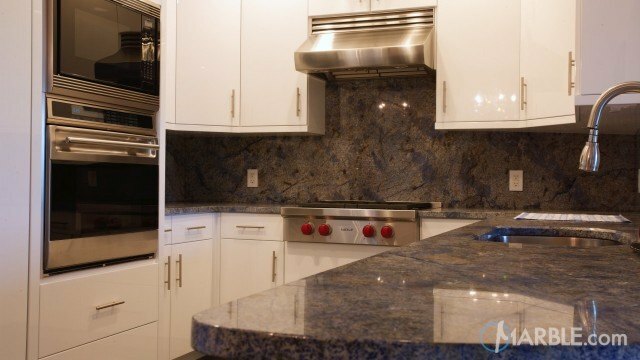 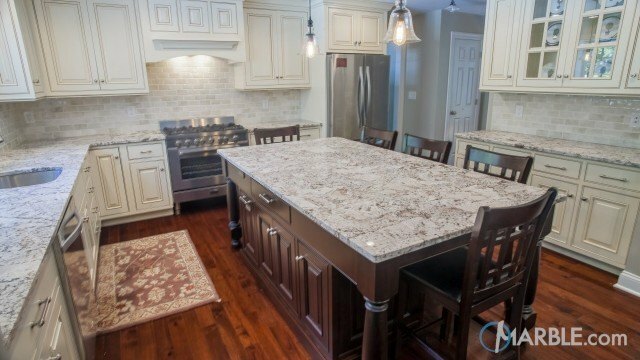 Azul Aran Granite Kitchen Countertop Design Ideas, Gallery. 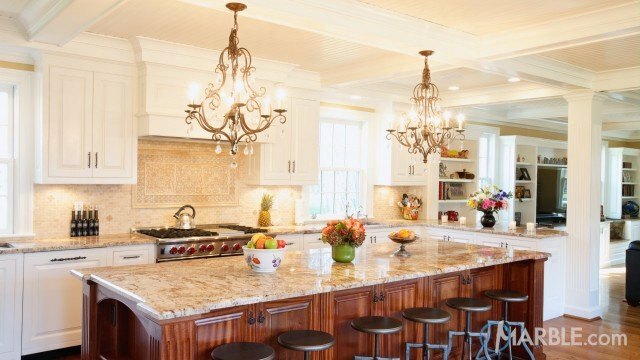 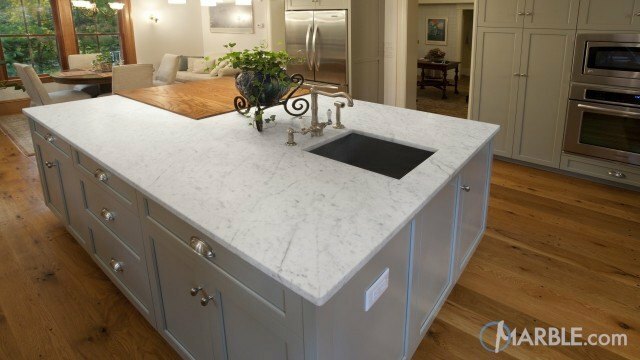 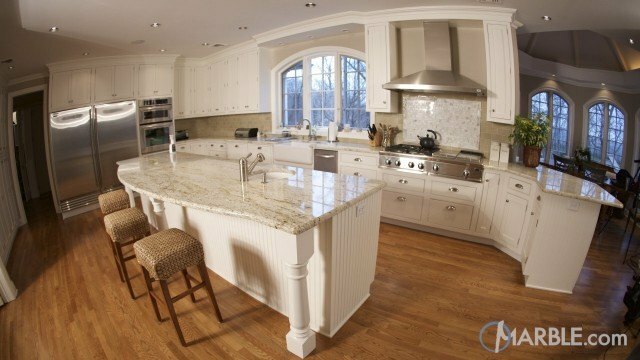 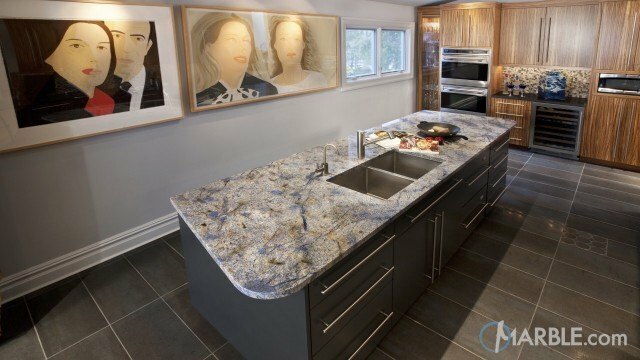 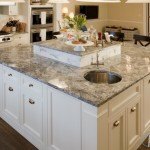 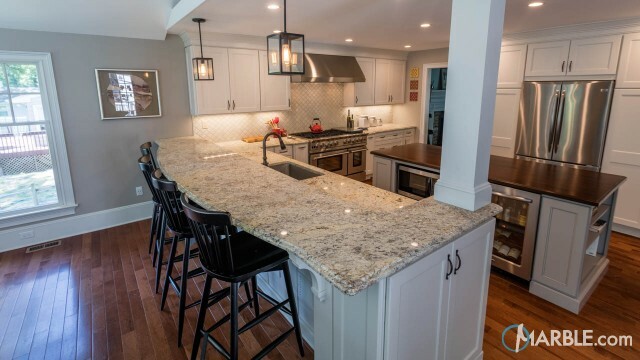 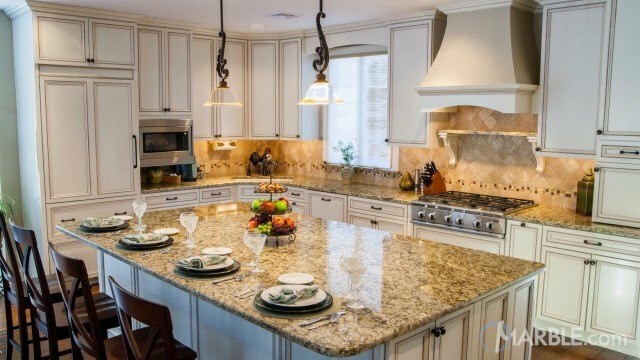 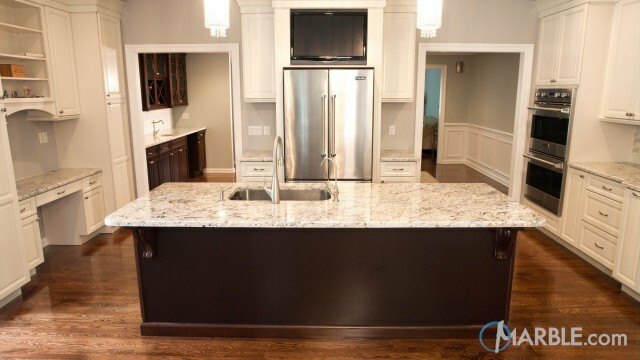 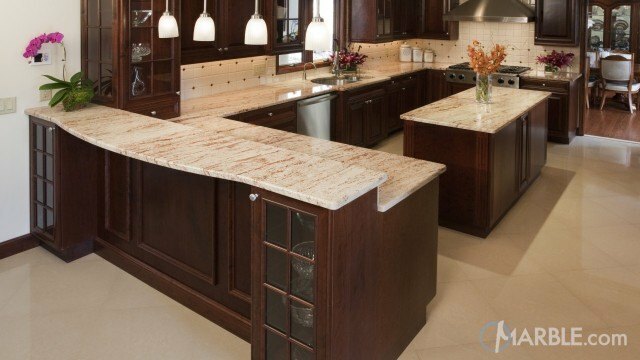 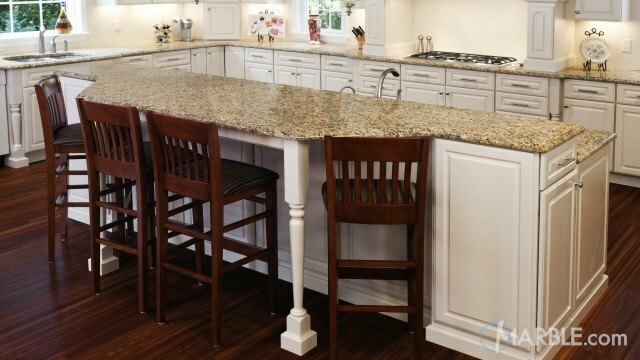 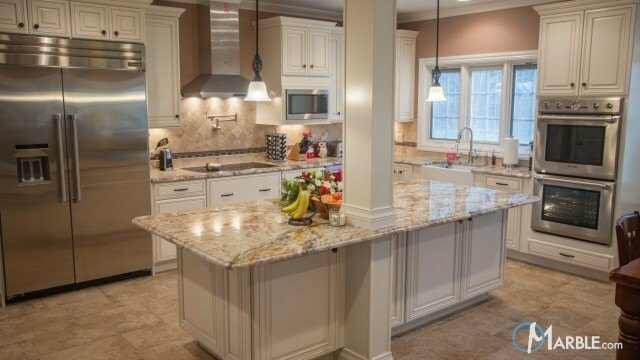 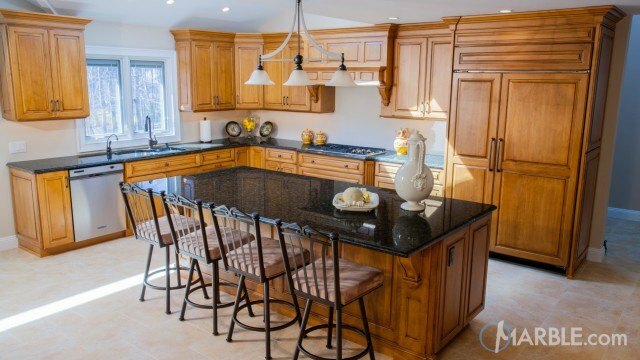 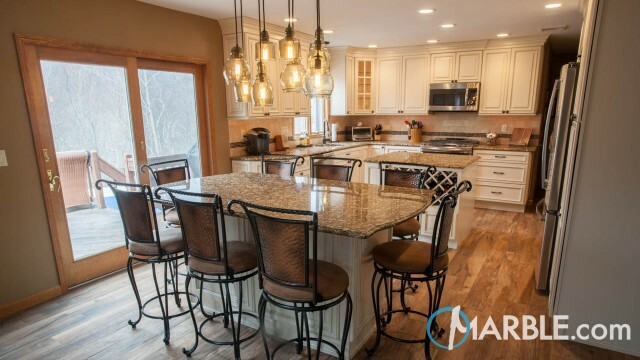 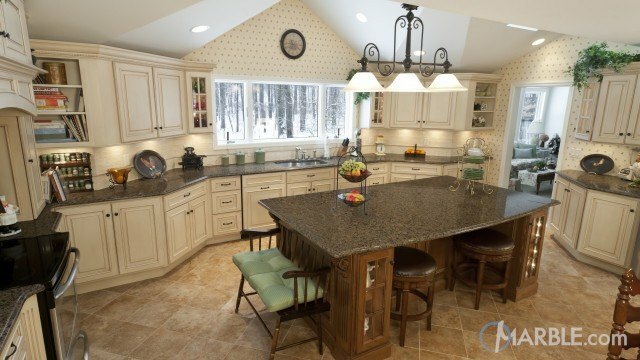 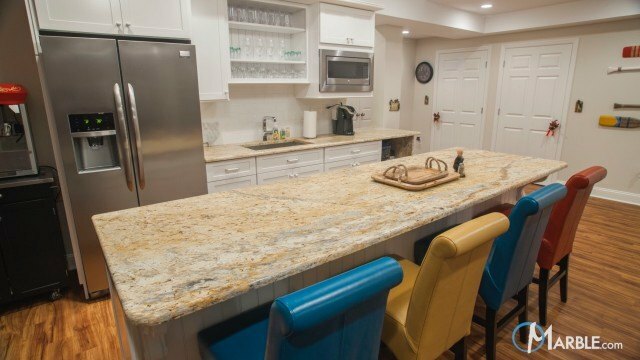 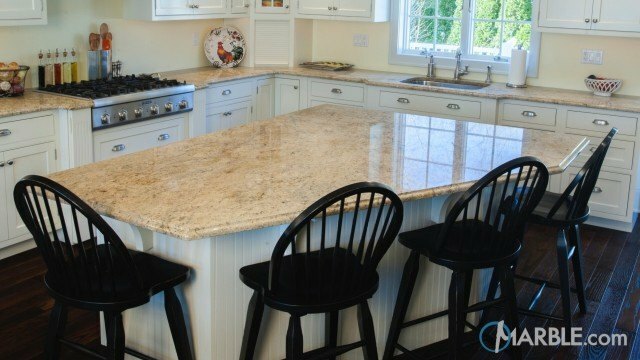 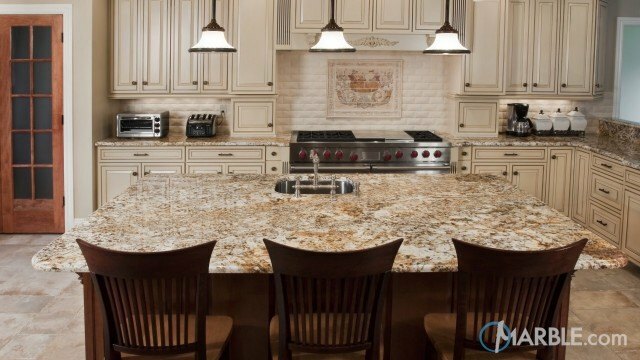 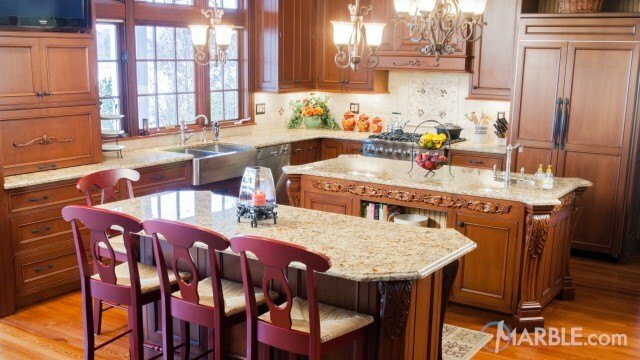 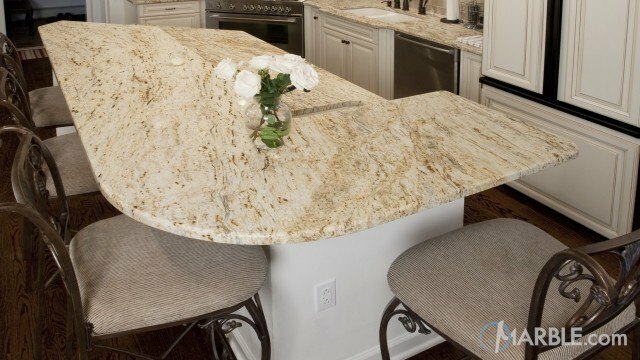 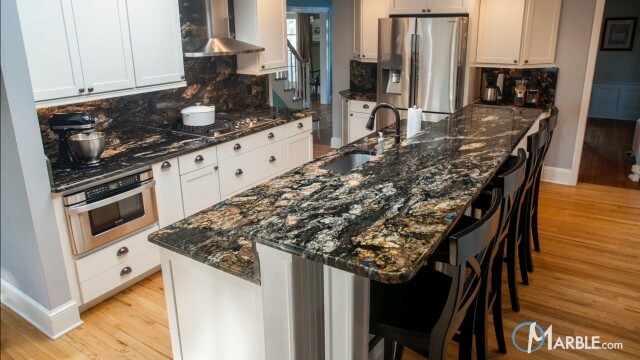 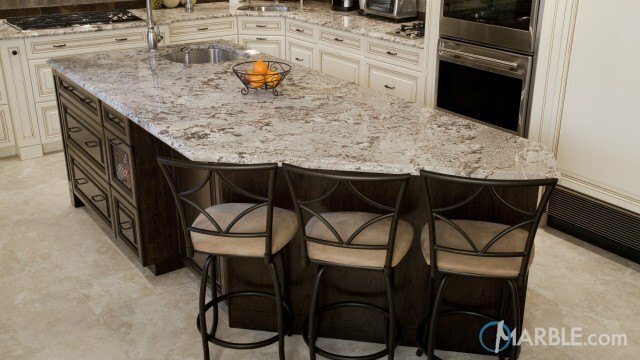 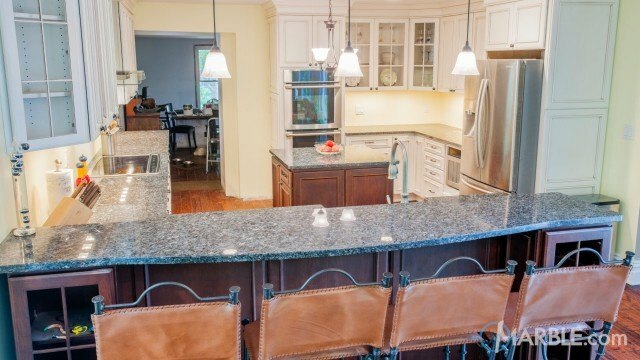 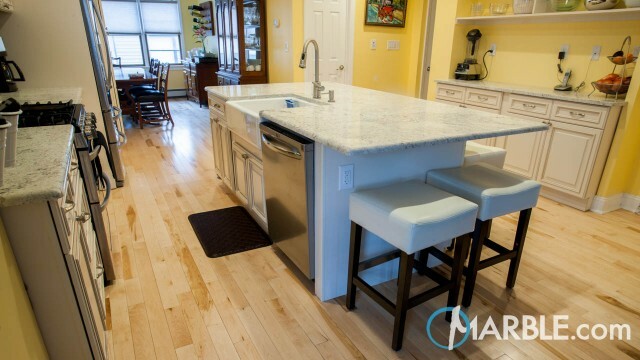 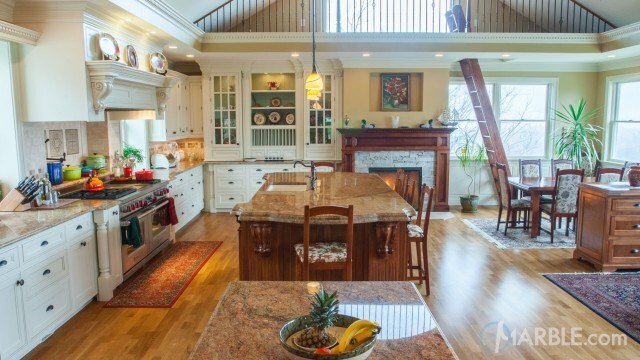 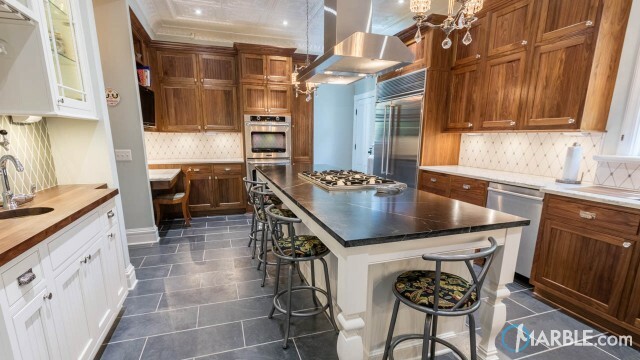 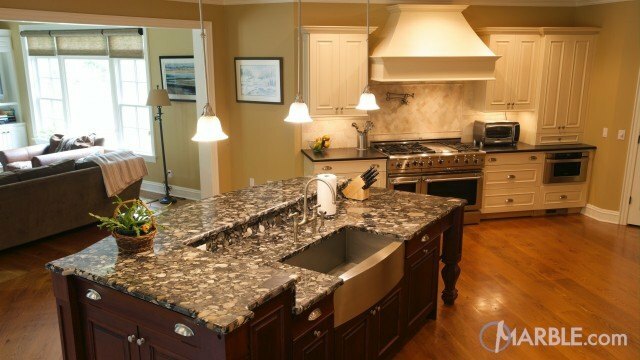 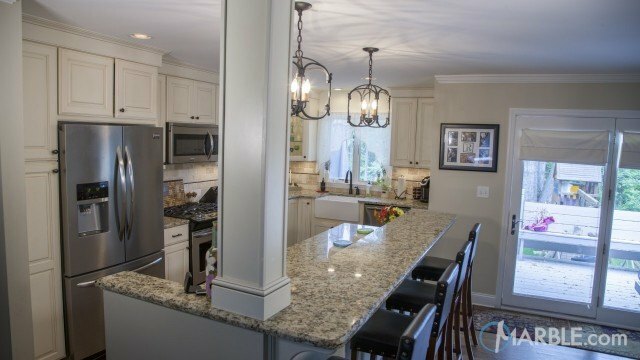 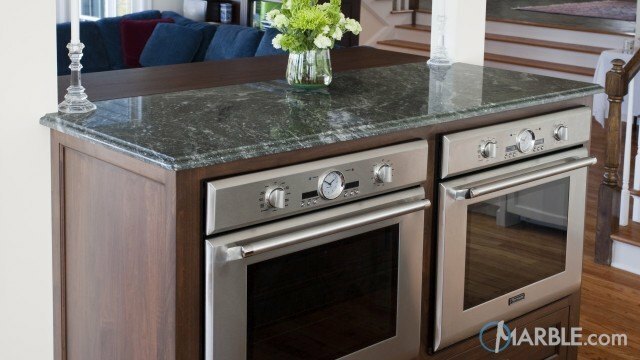 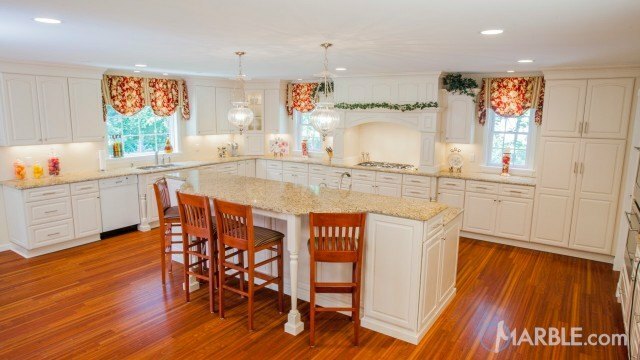 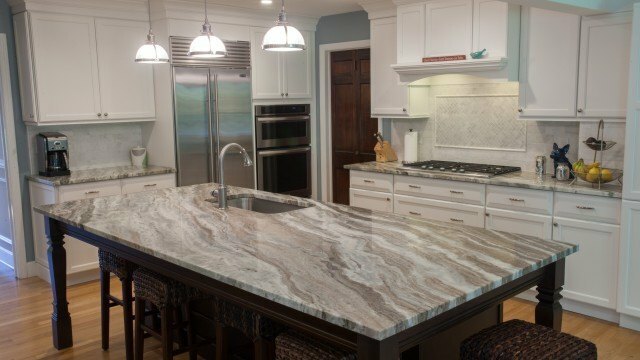 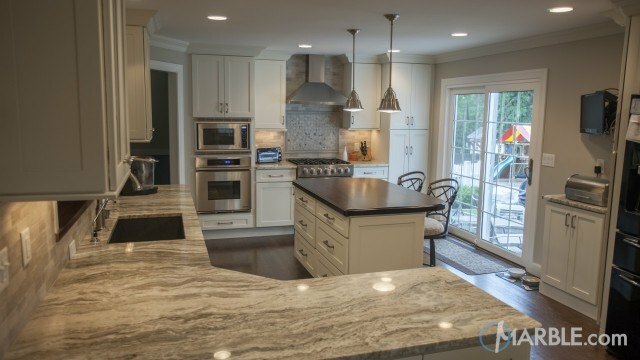 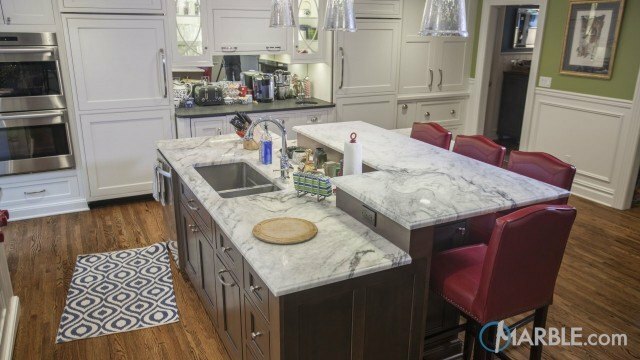 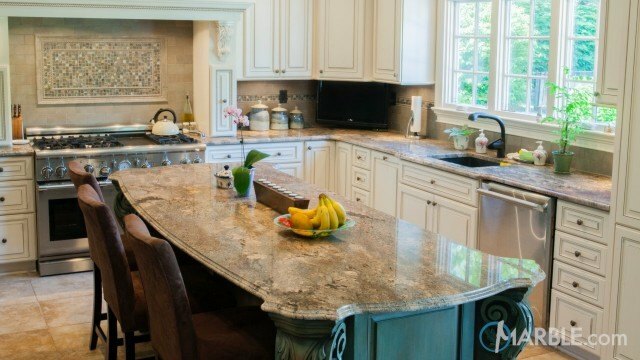 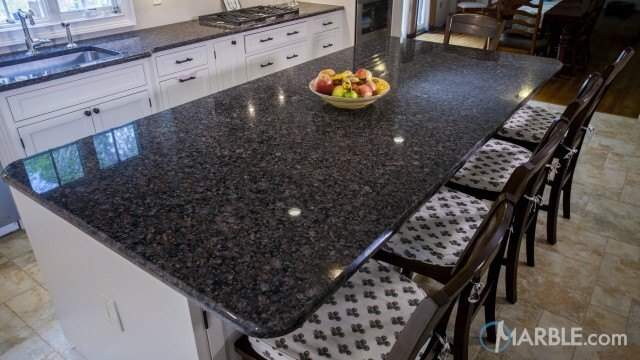 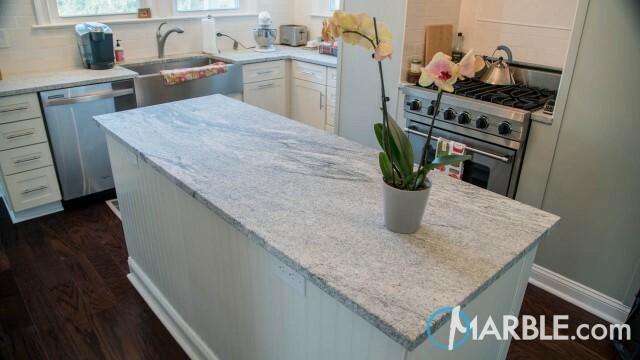 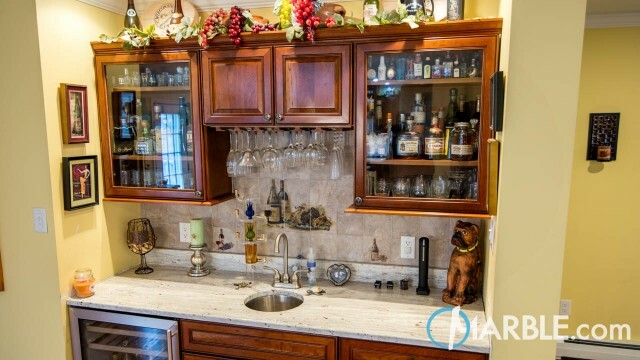 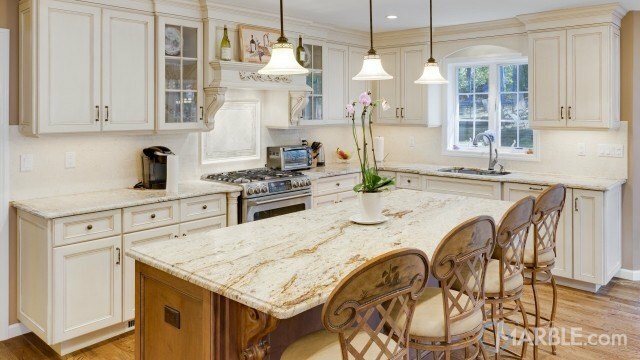 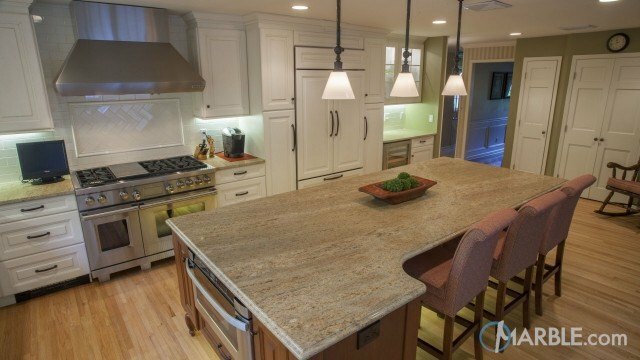 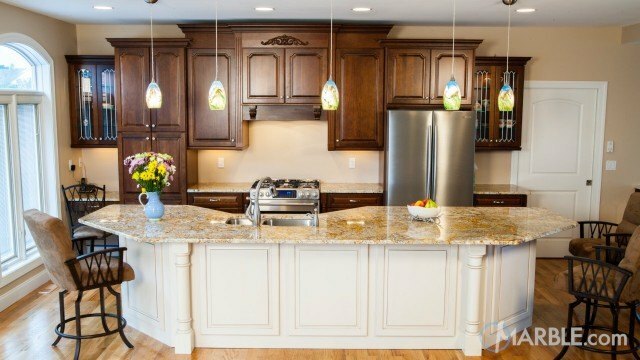 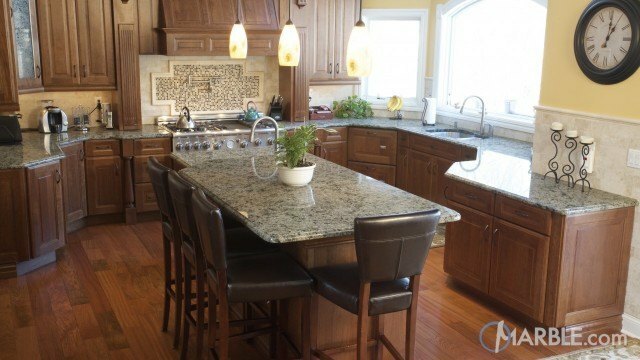 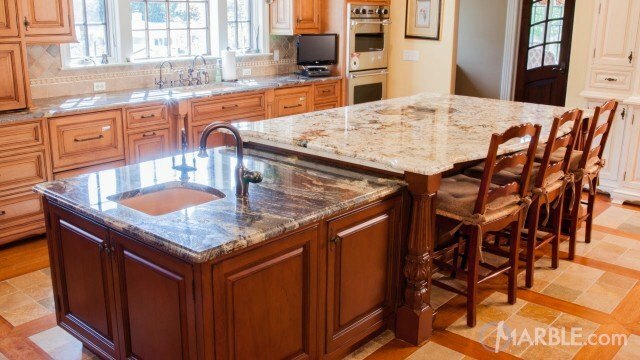 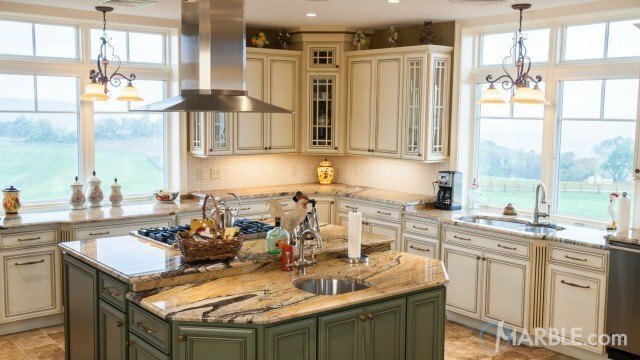 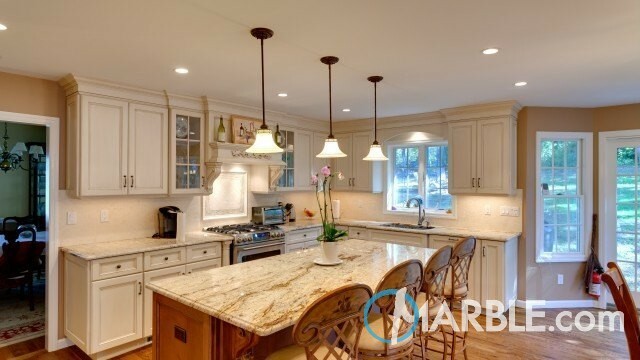 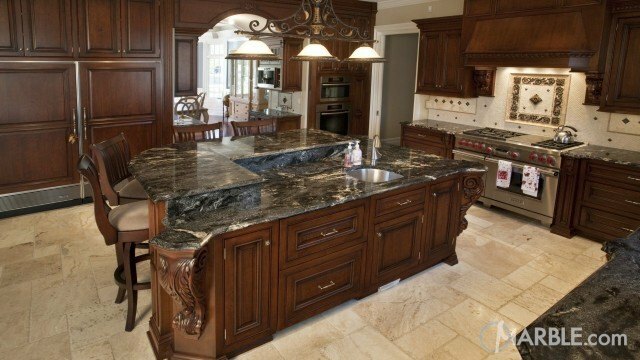 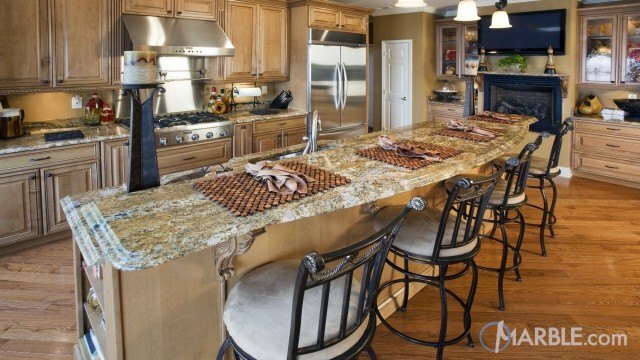 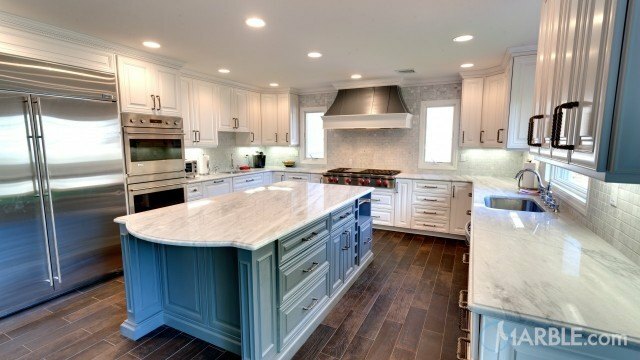 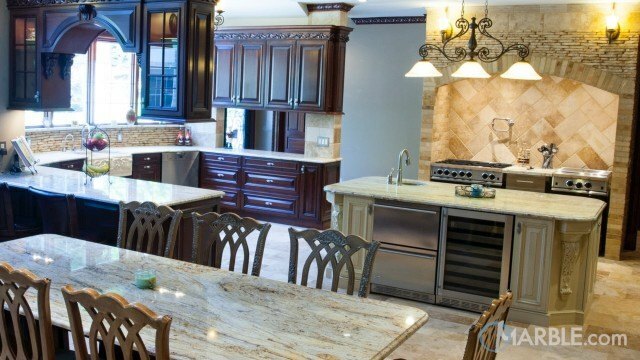 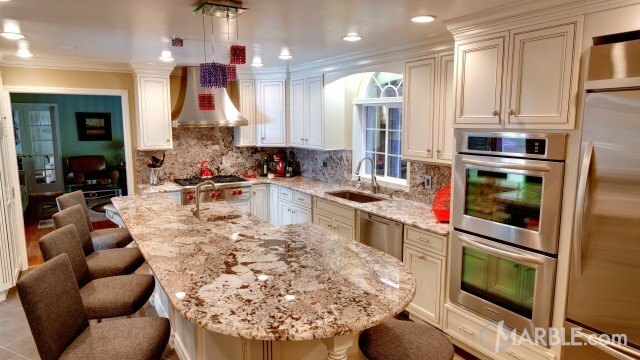 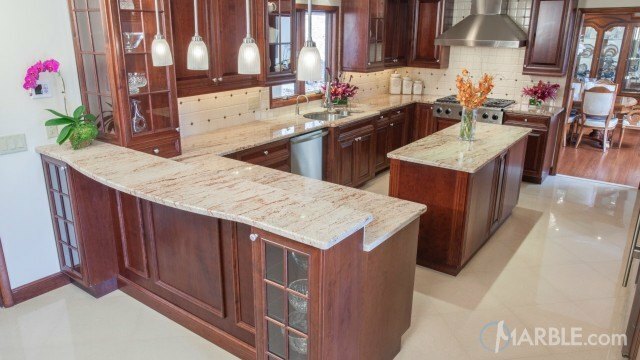 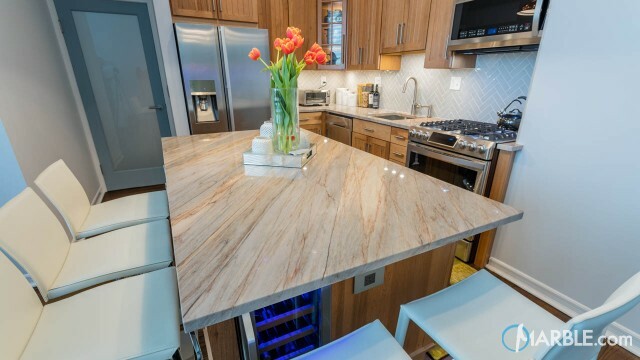 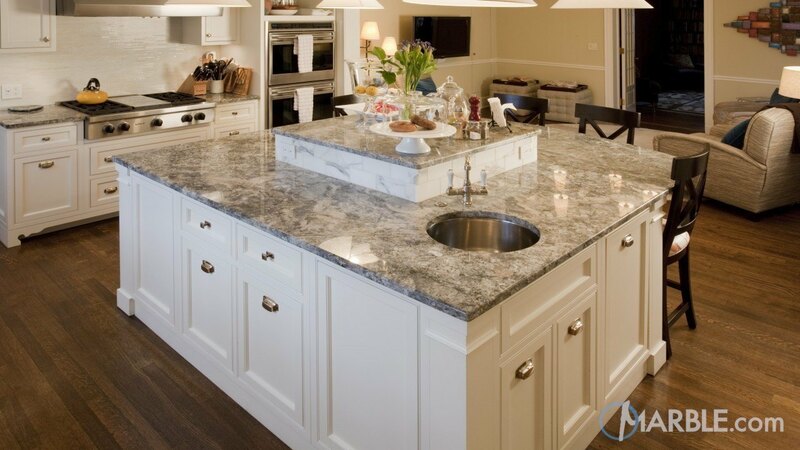 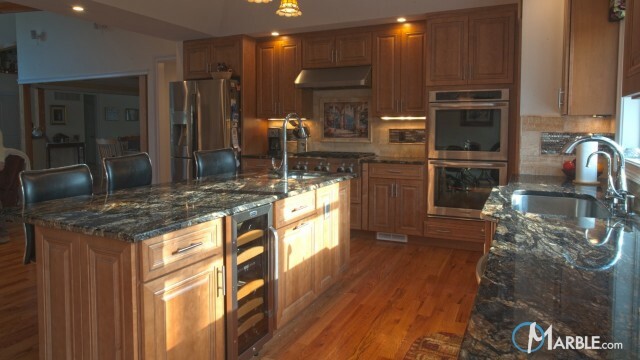 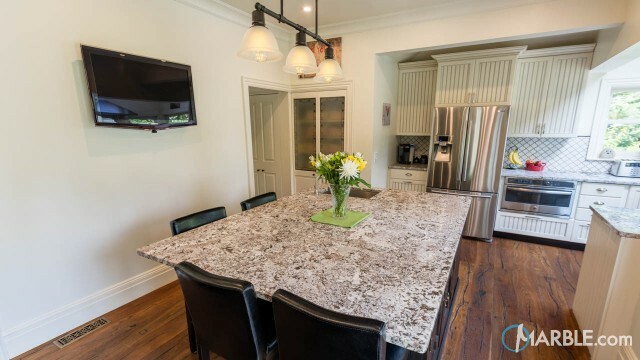 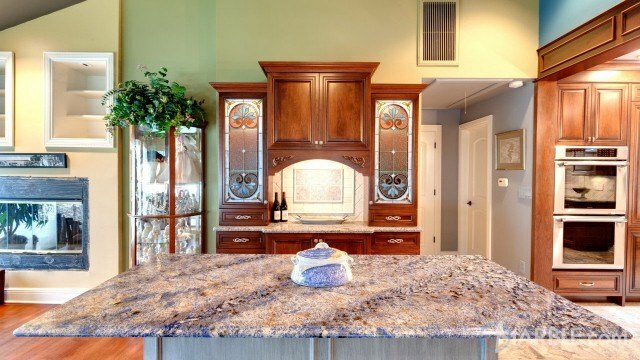 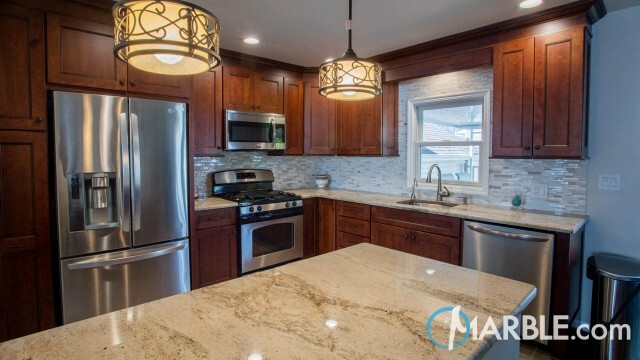 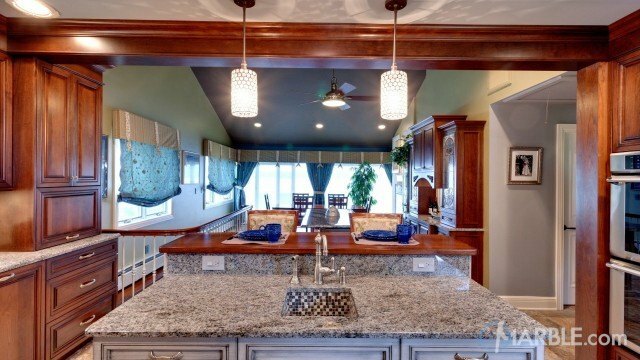 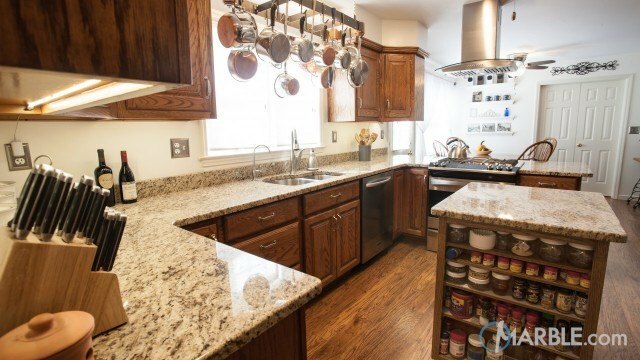 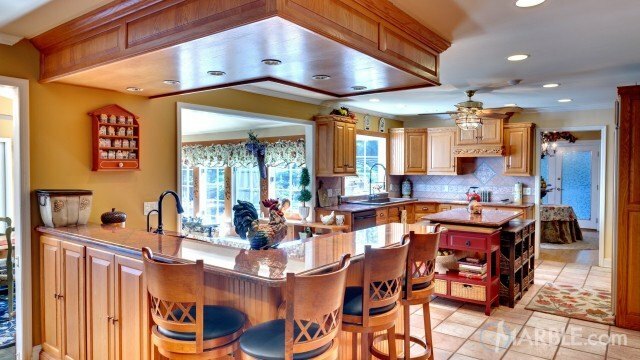 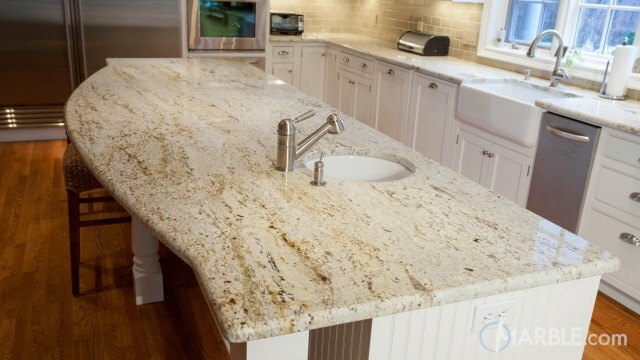 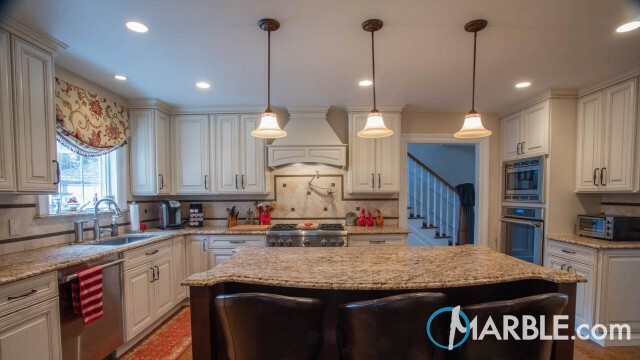 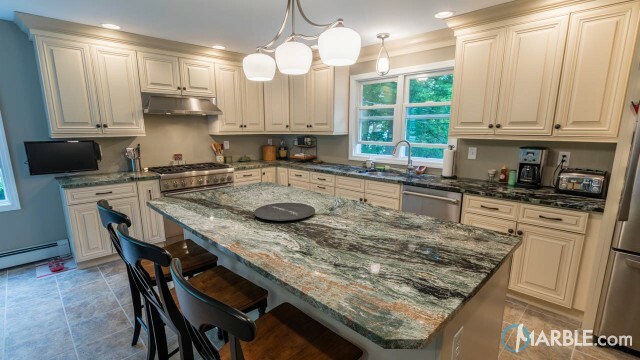 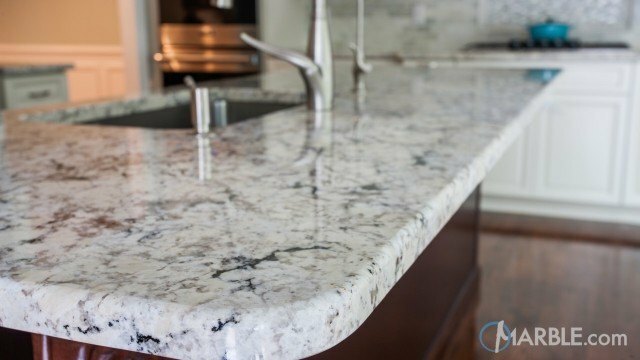 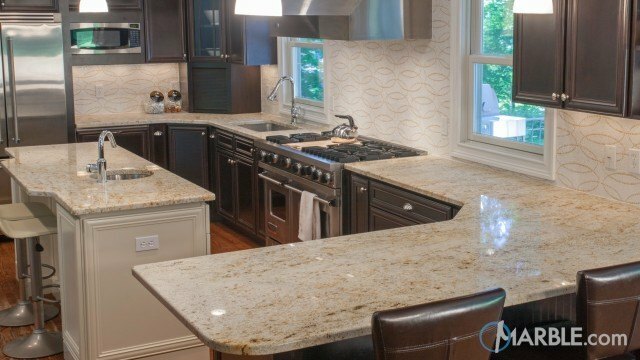 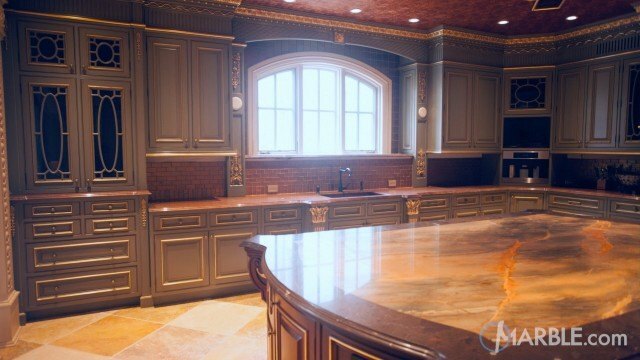 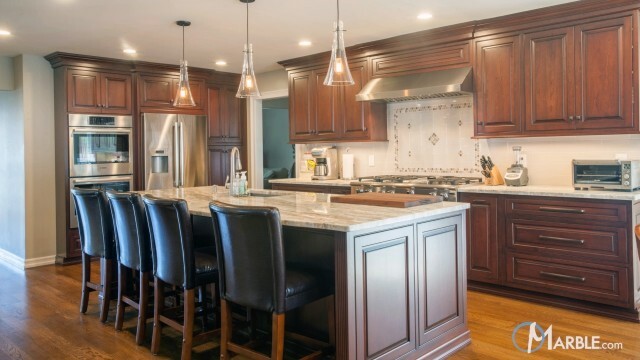 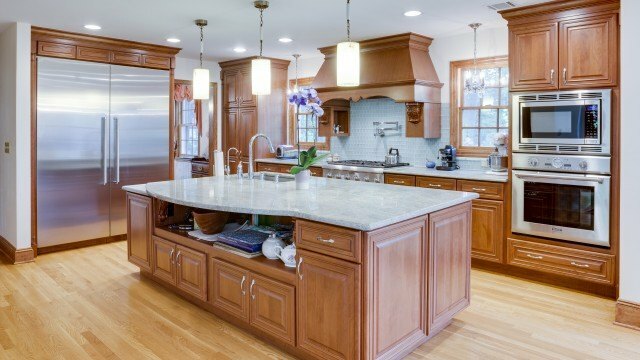 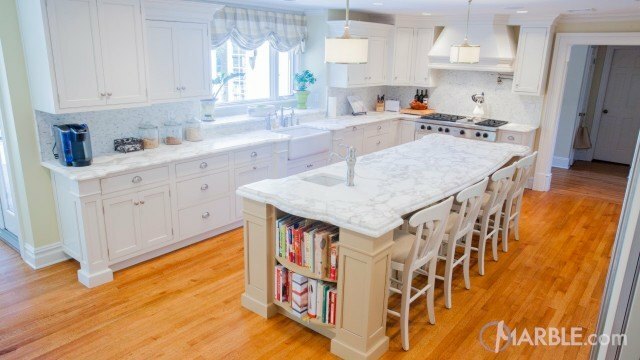 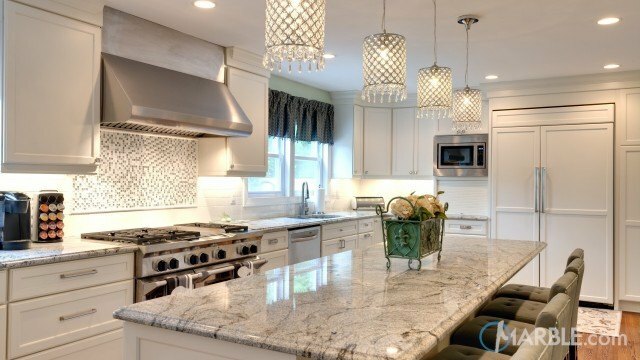 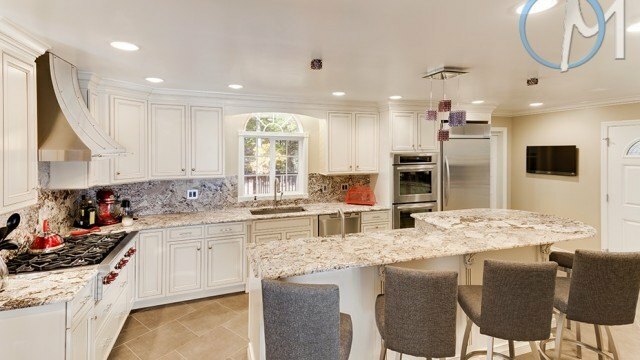 A two-tiered island topped with Azul Aran granite is the highlight of this kitchen. 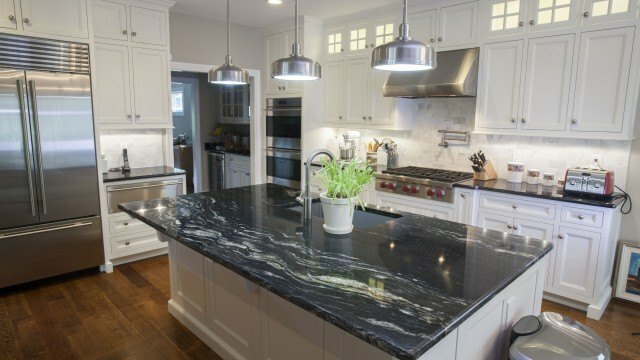 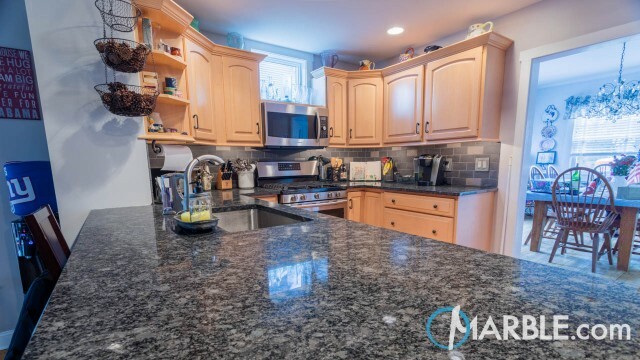 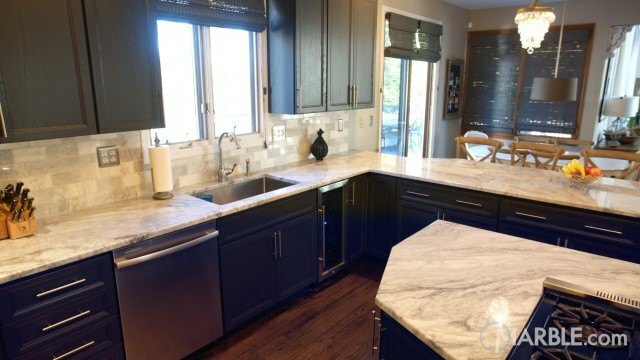 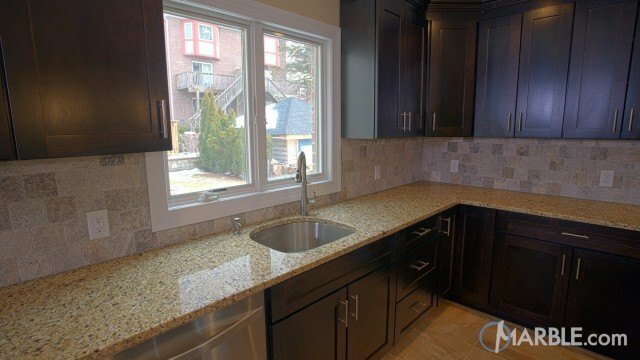 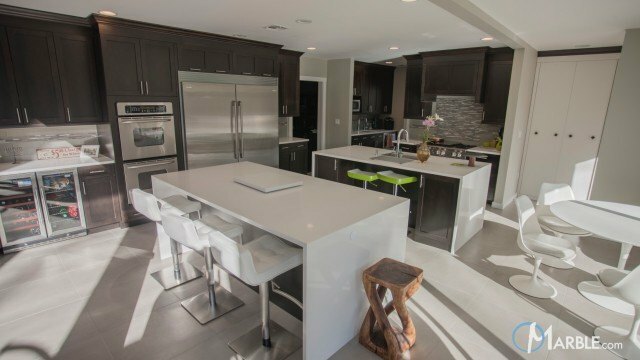 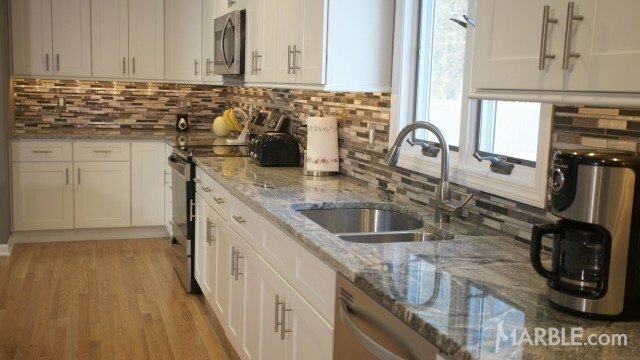 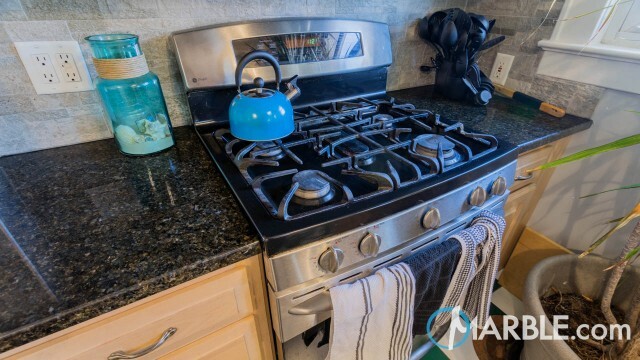 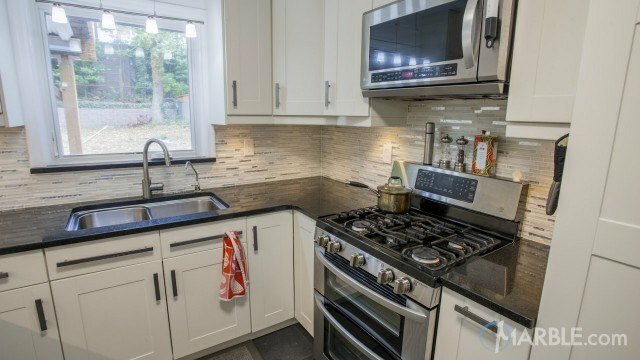 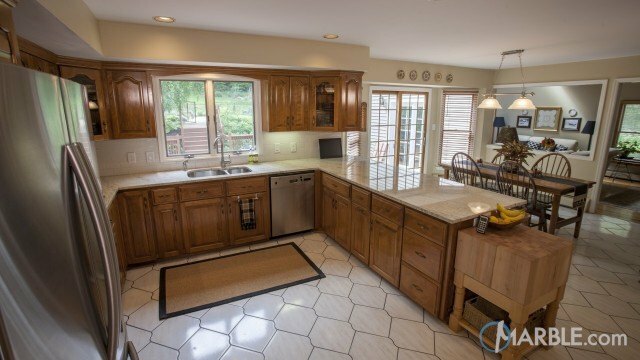 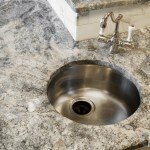 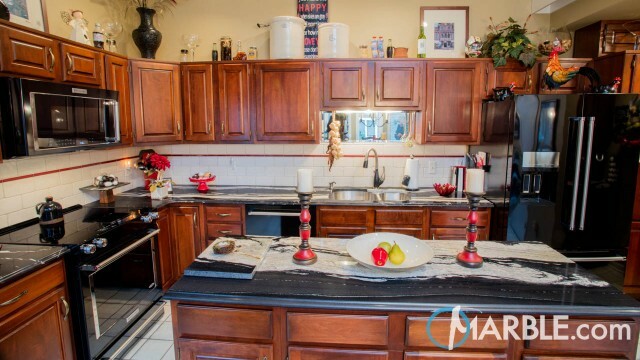 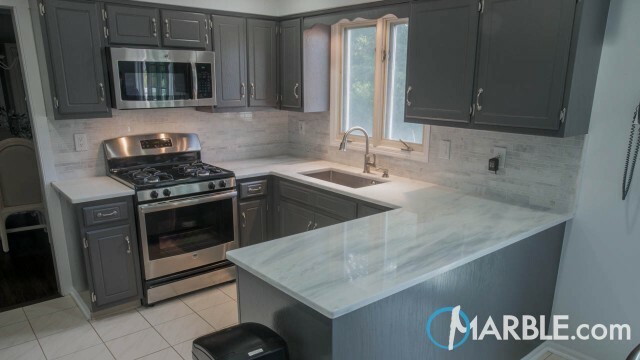 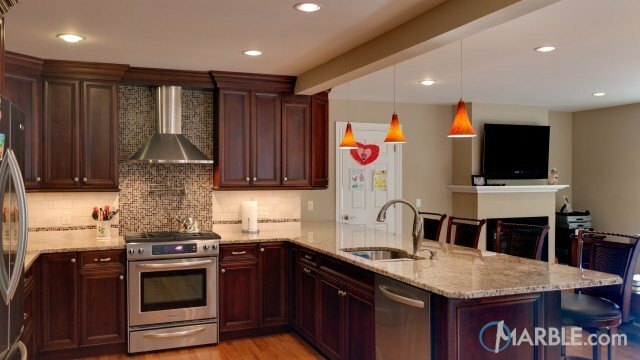 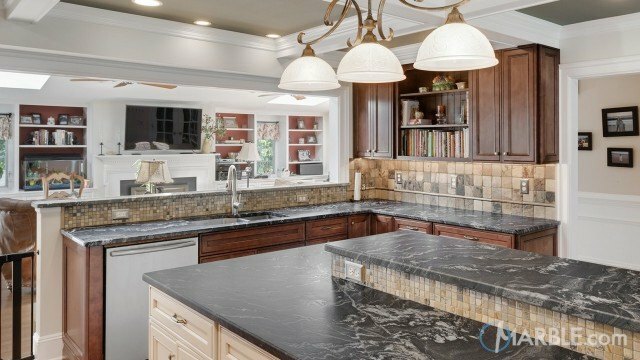 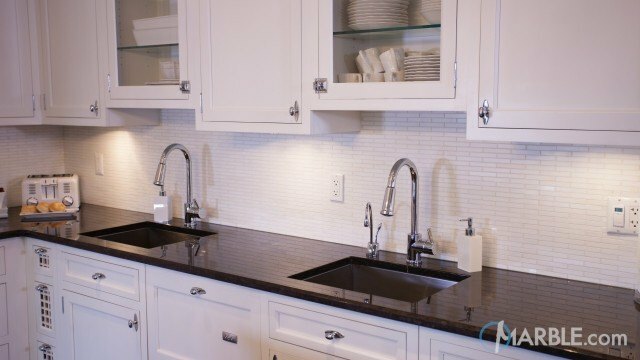 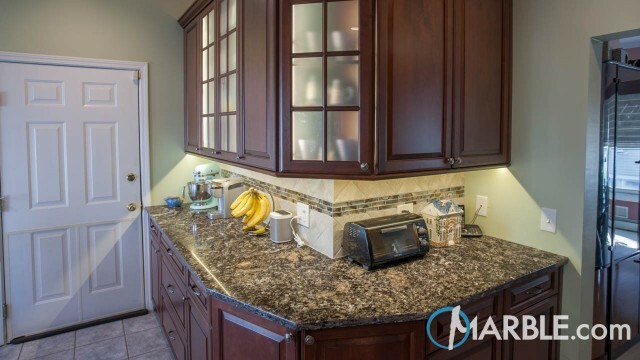 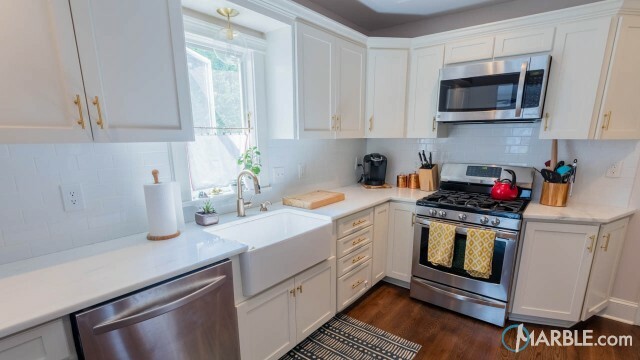 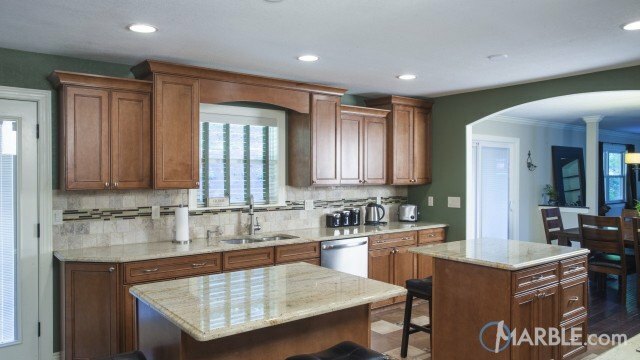 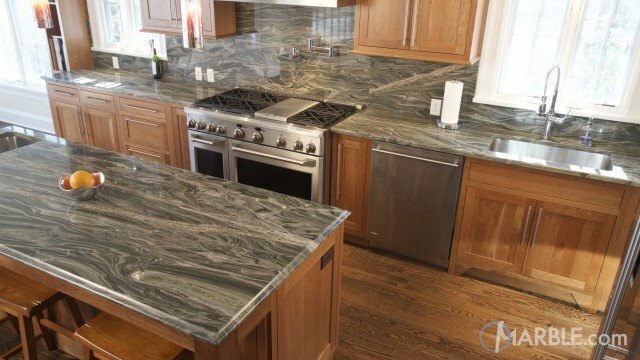 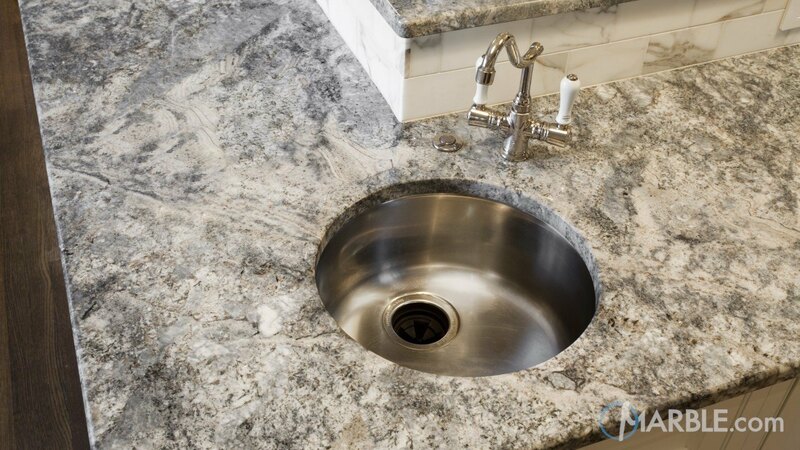 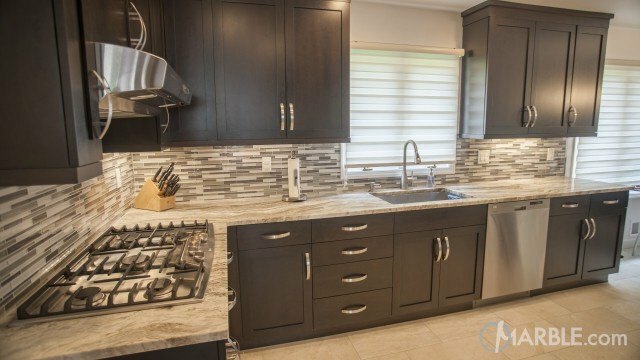 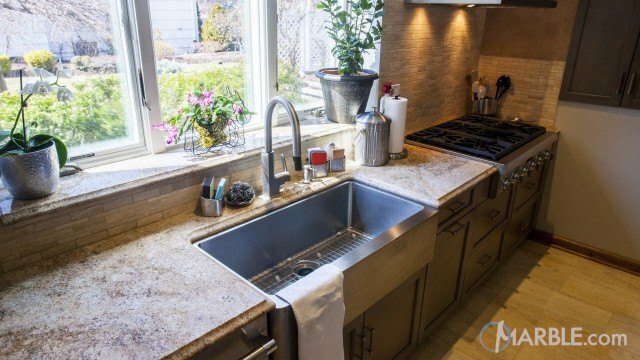 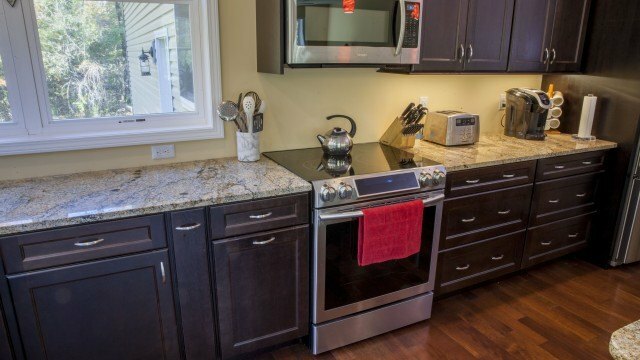 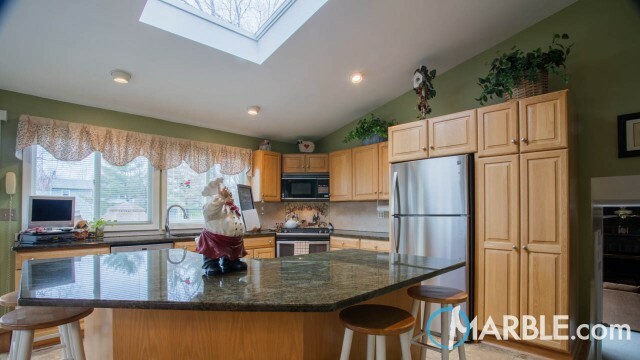 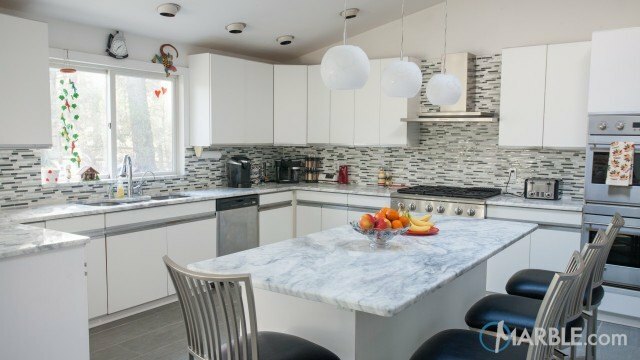 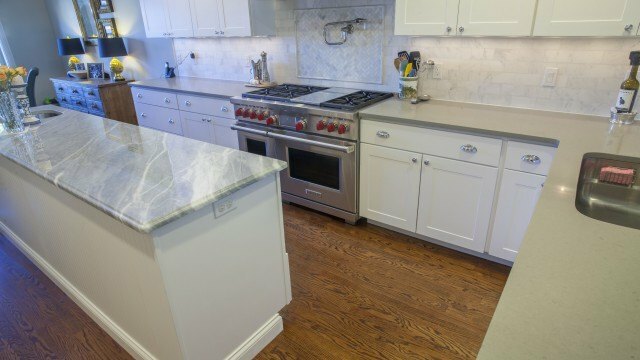 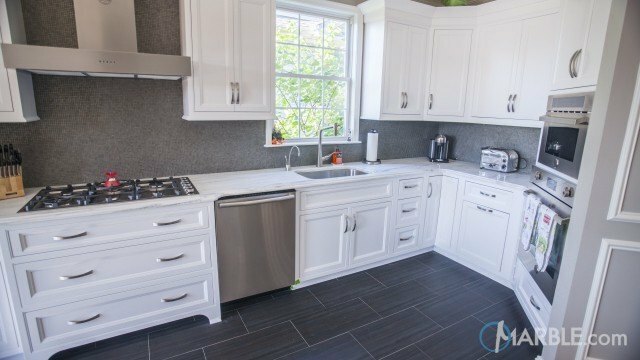 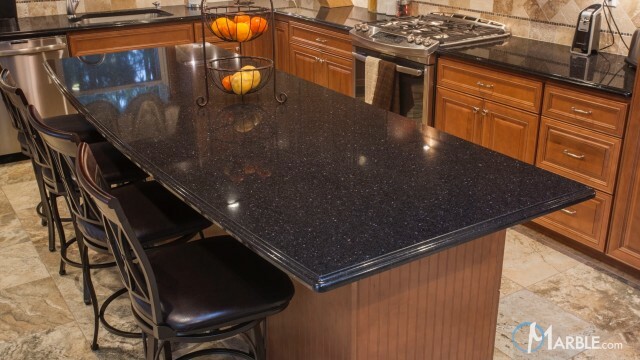 With its black and grey swirling, the counter top completes the kitchen's classic look. 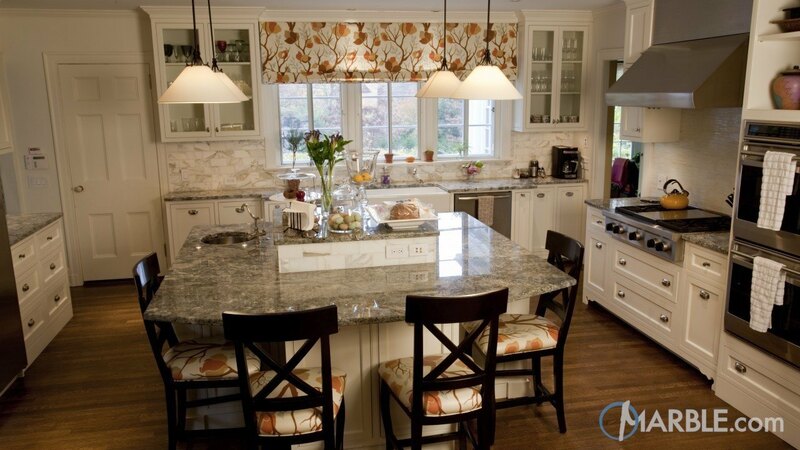 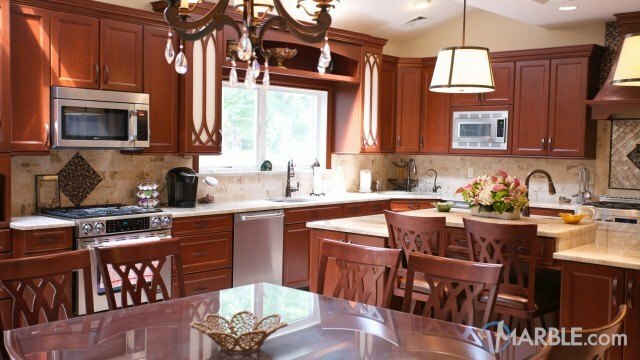 Matching window dressing and upholstered chairs add some color and depth to this homey kitchen.